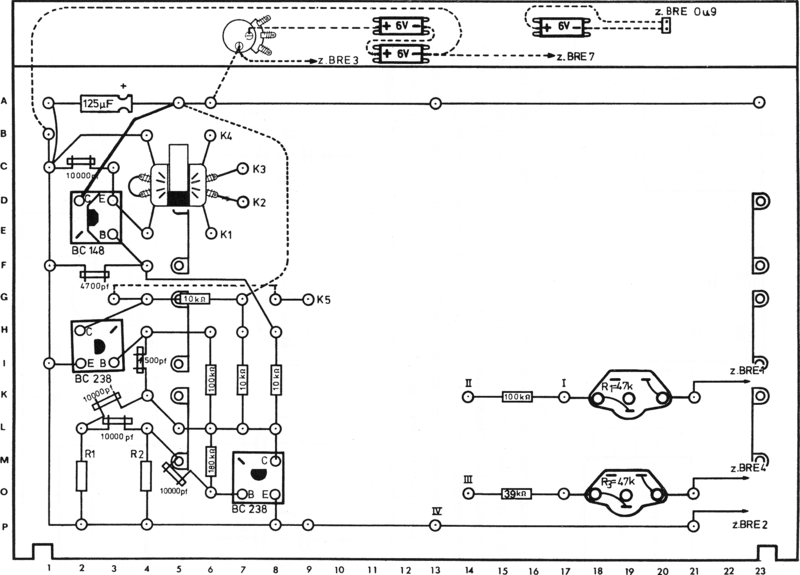 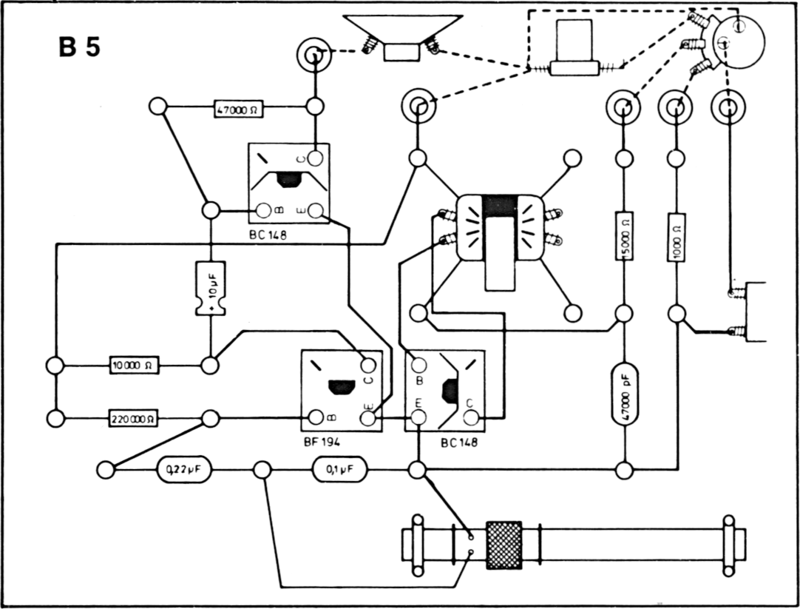 Some of the diagrams went through several revisions. 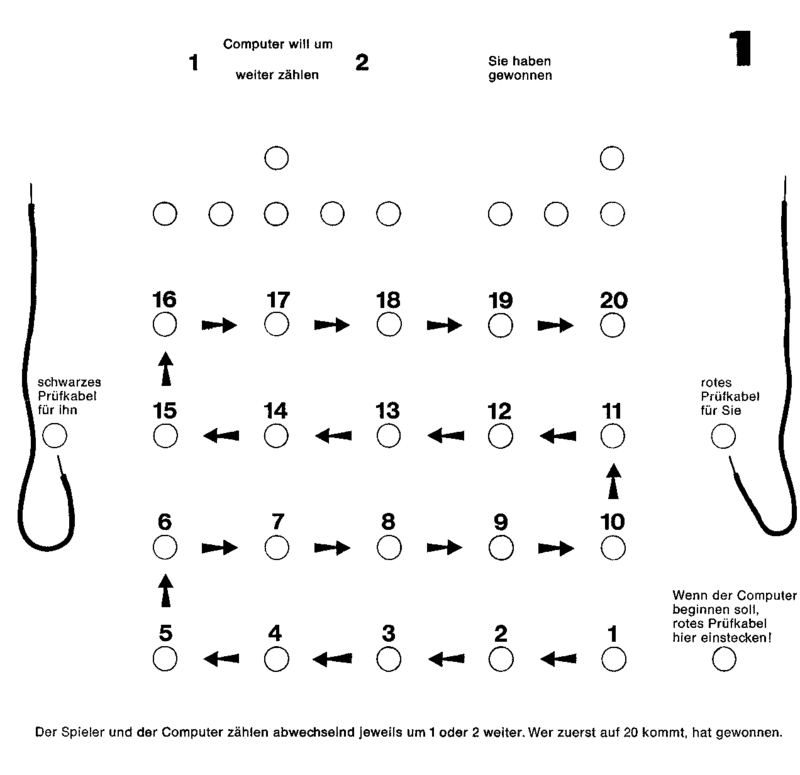 In the tables below, the individiual entries link to the best version; usually the latest. 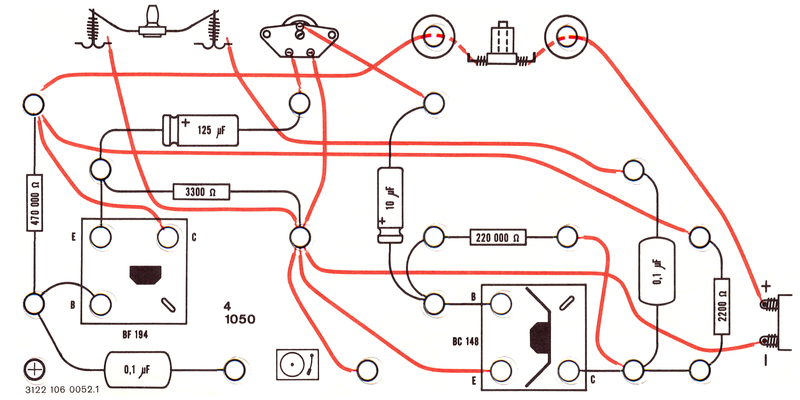 The headings link to a complete overview of all versions I know of. 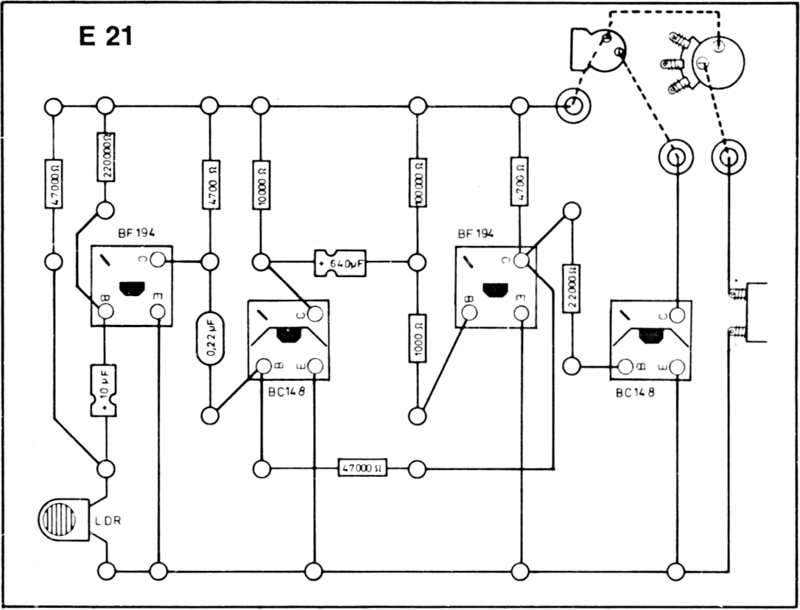 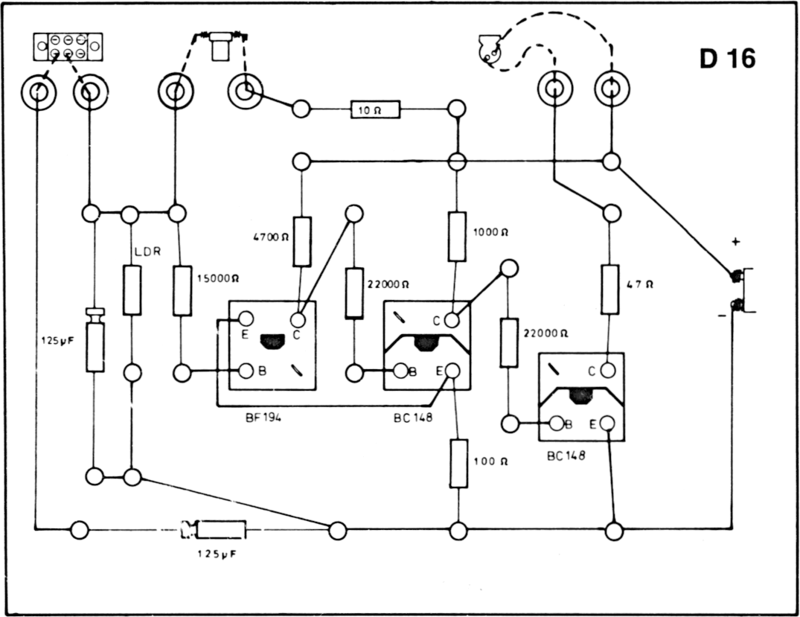 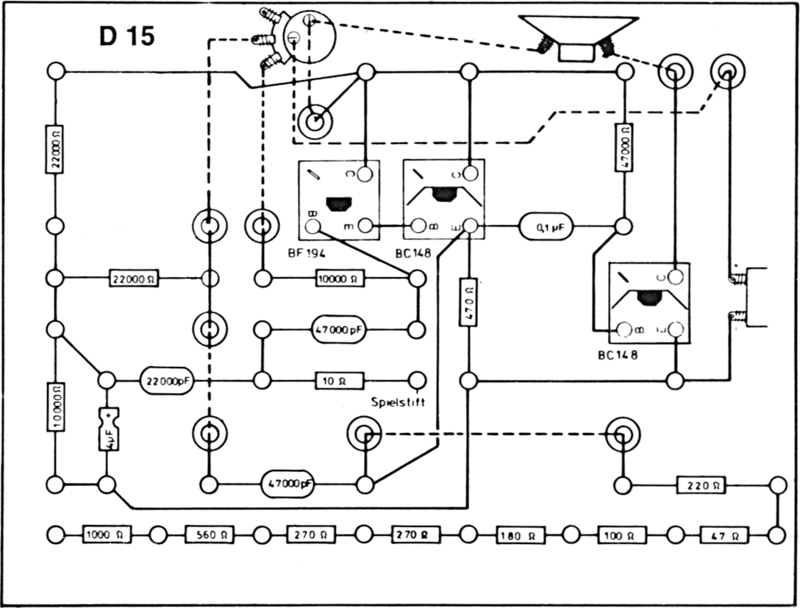 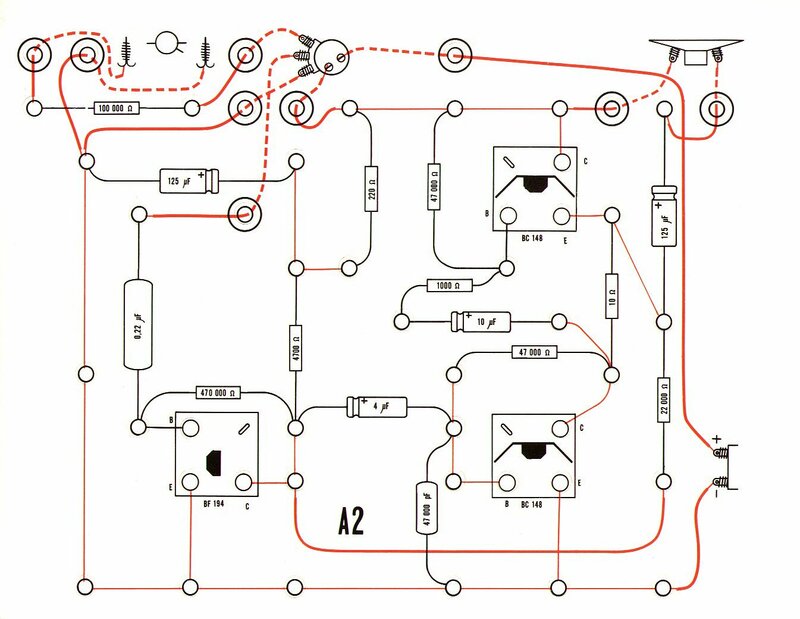 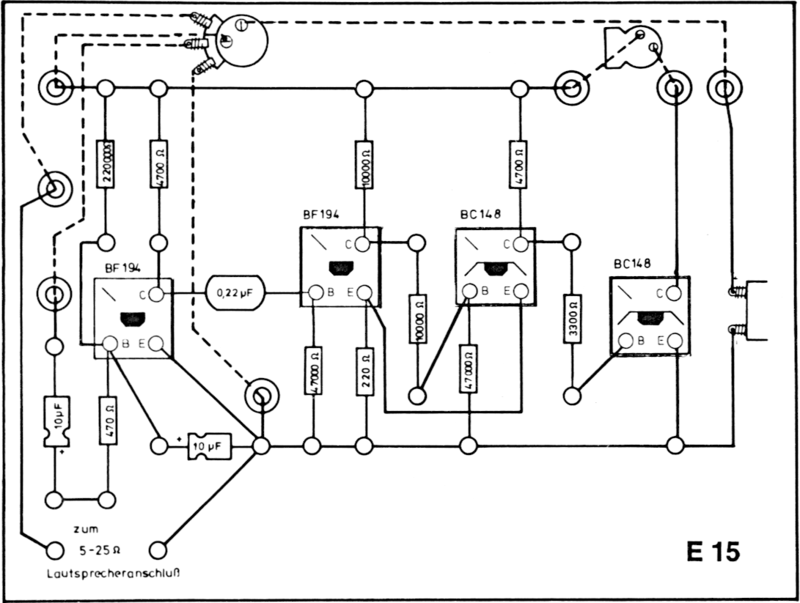 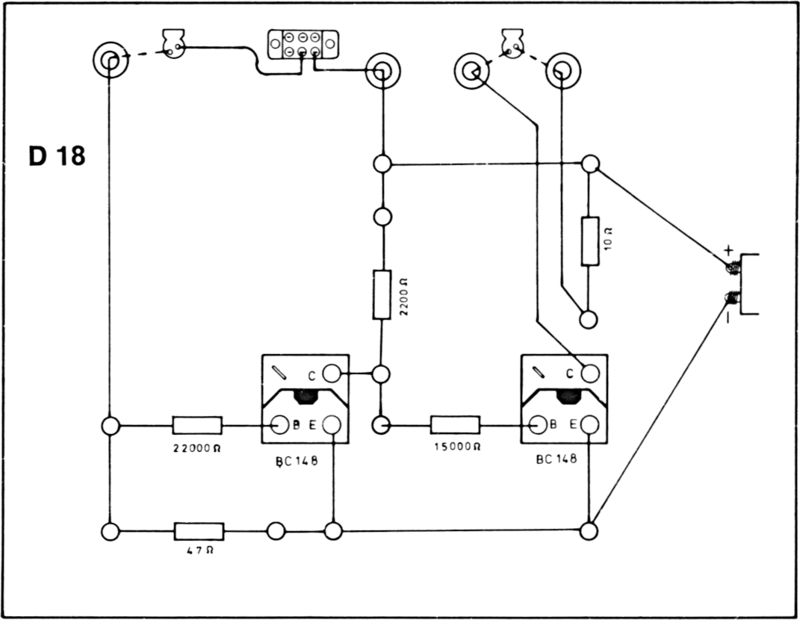 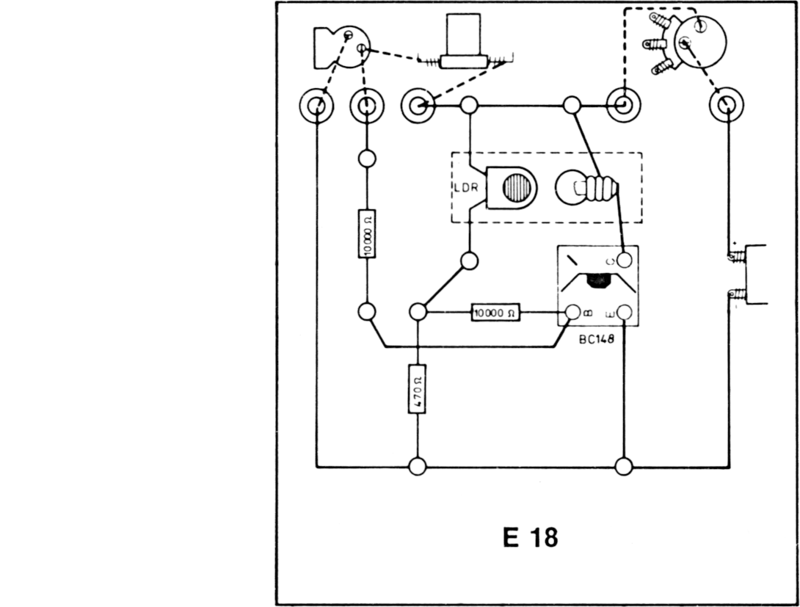 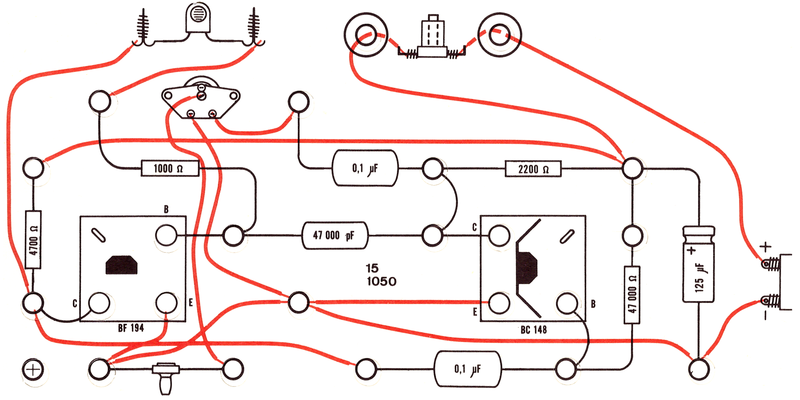 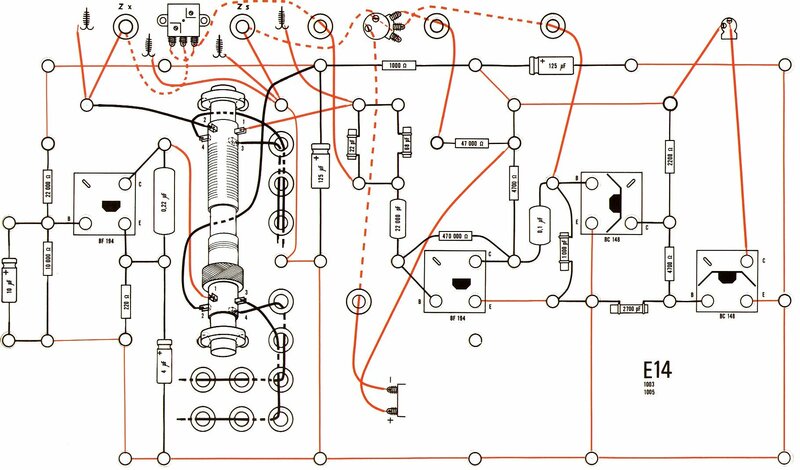 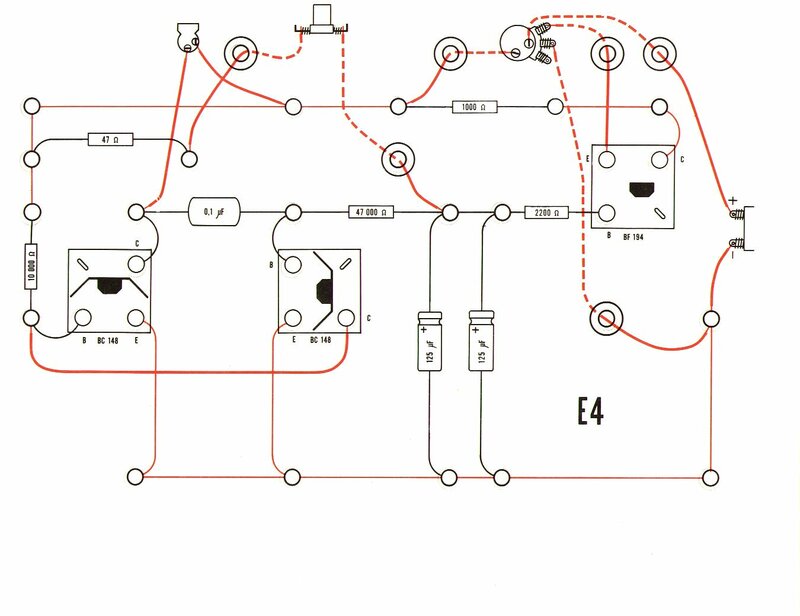 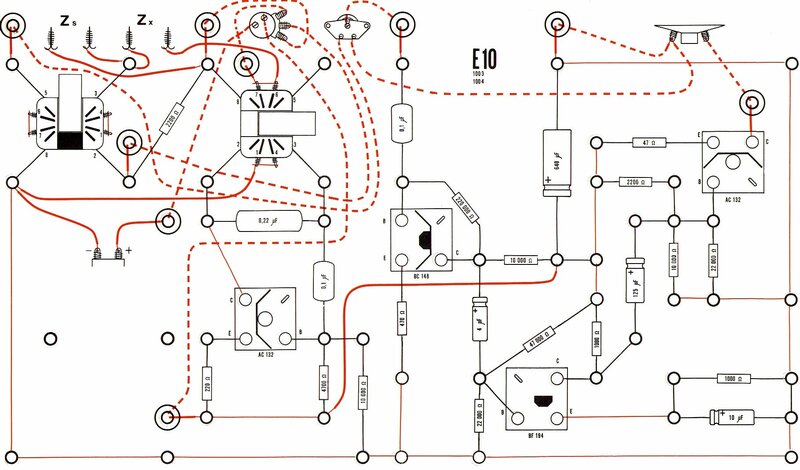 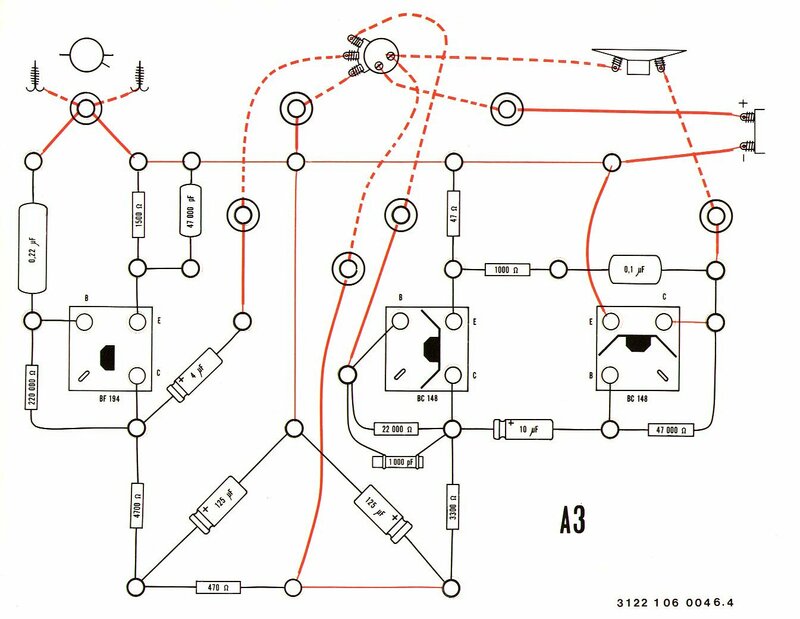 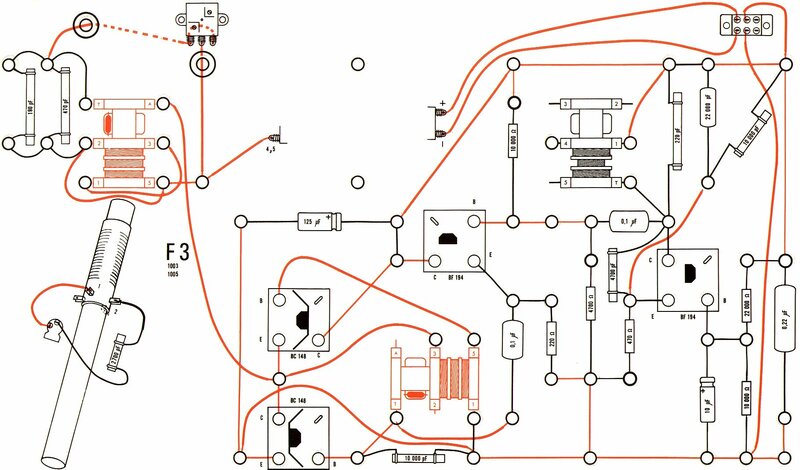 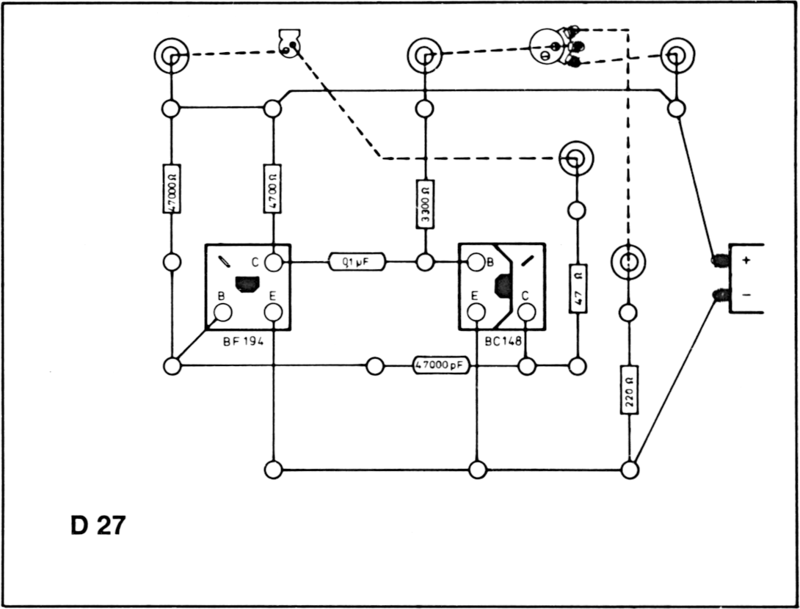 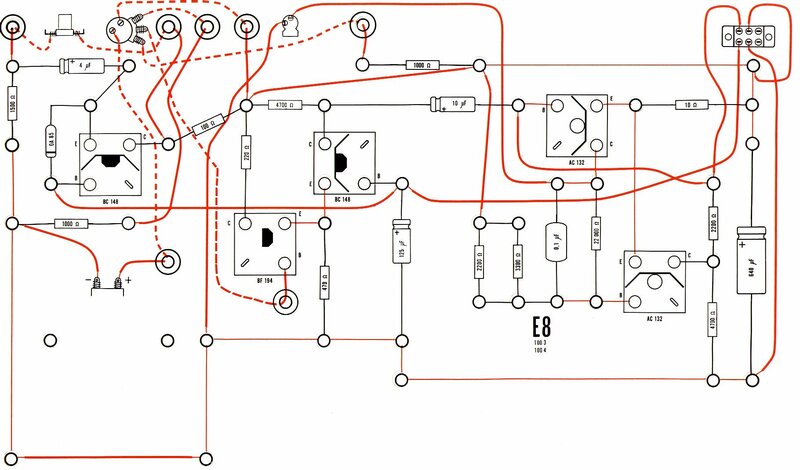 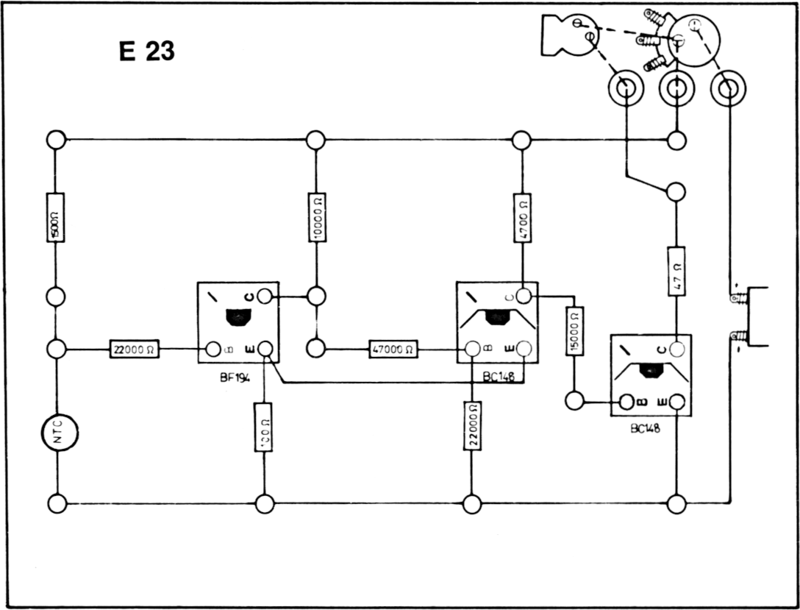 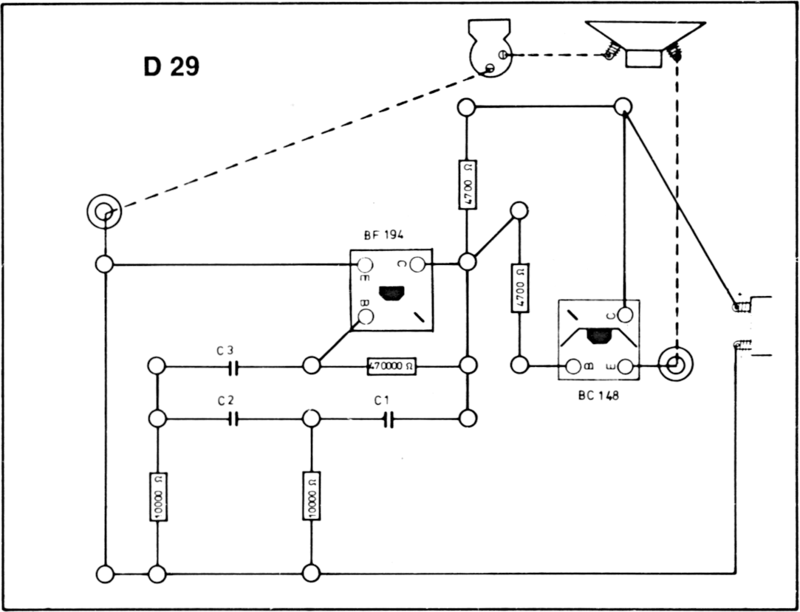 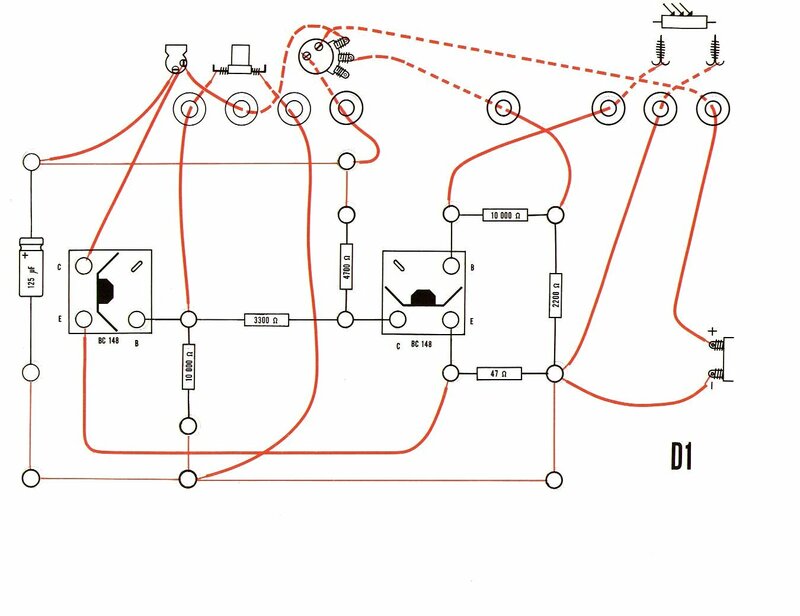 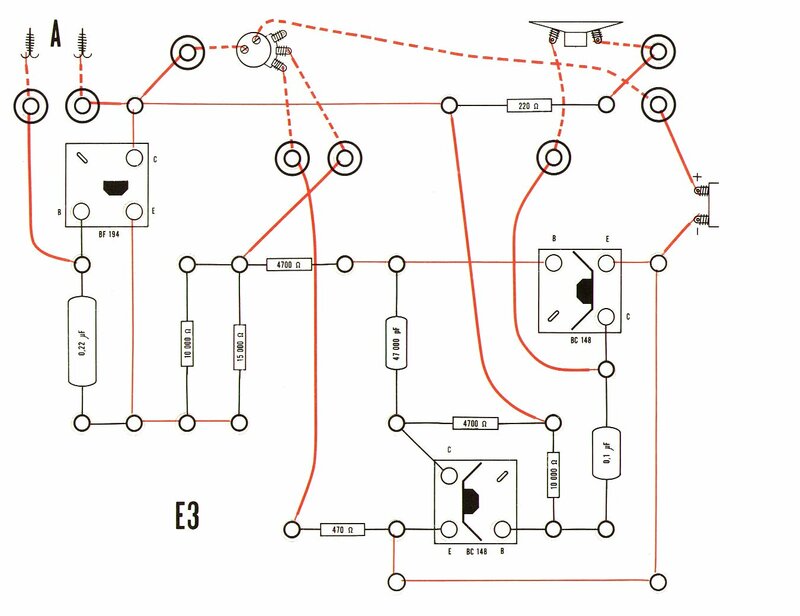 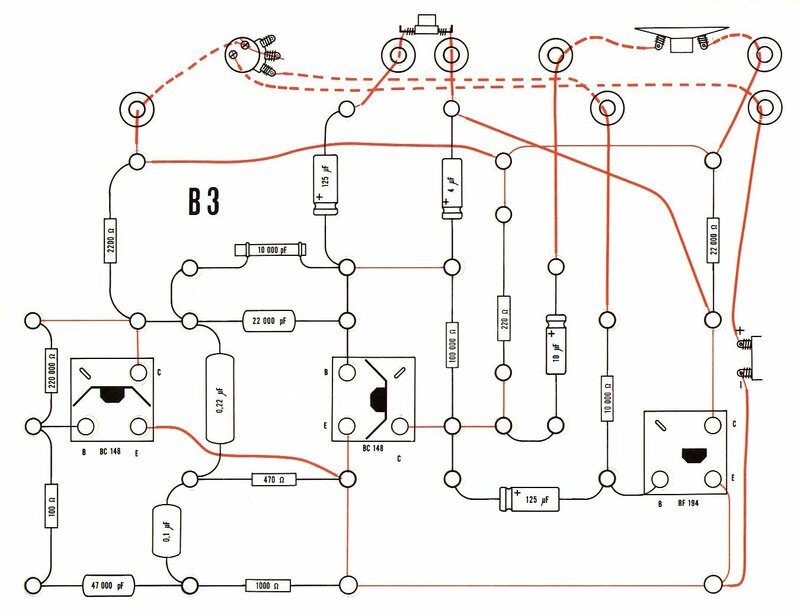 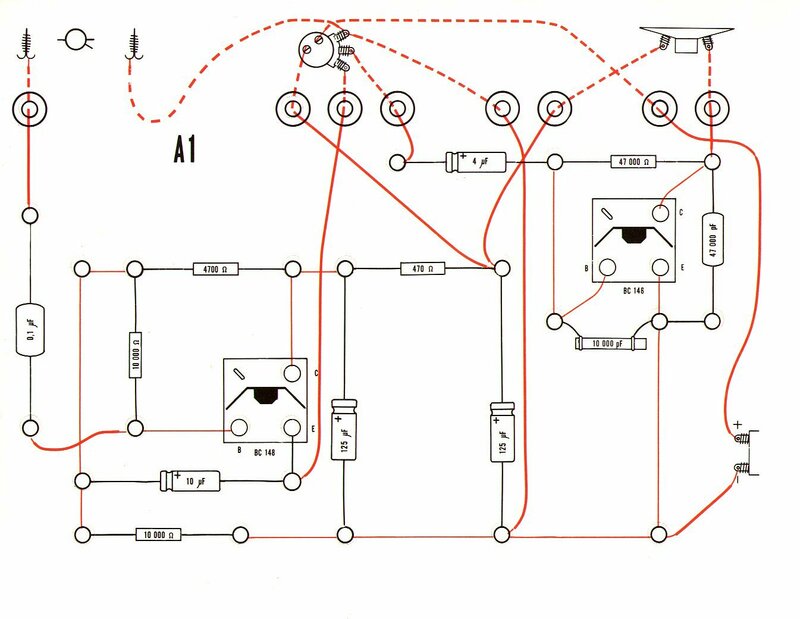 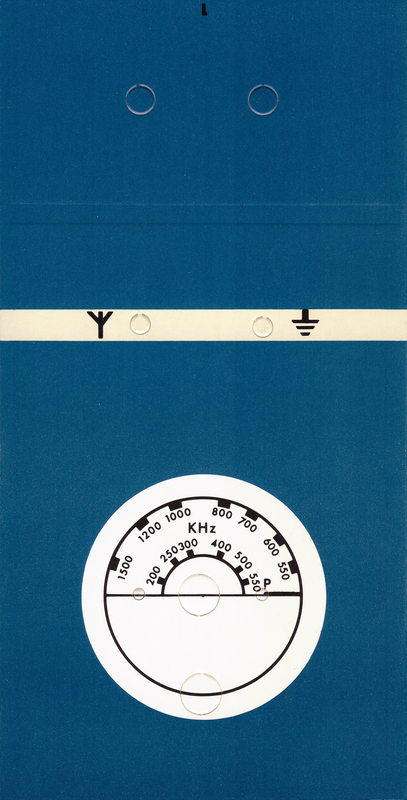 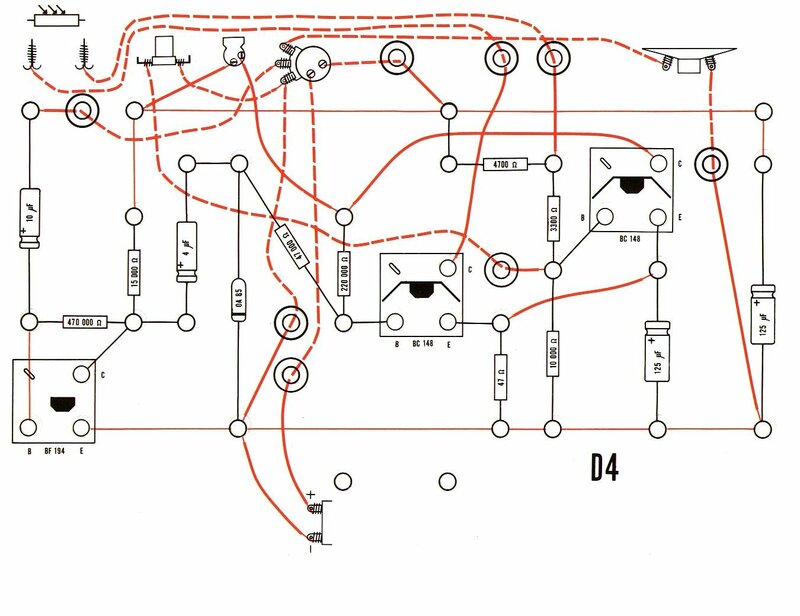 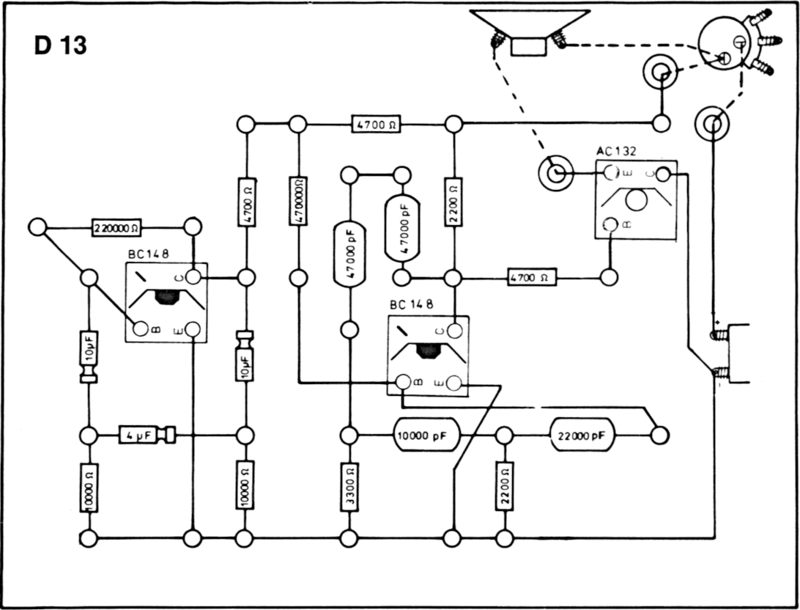 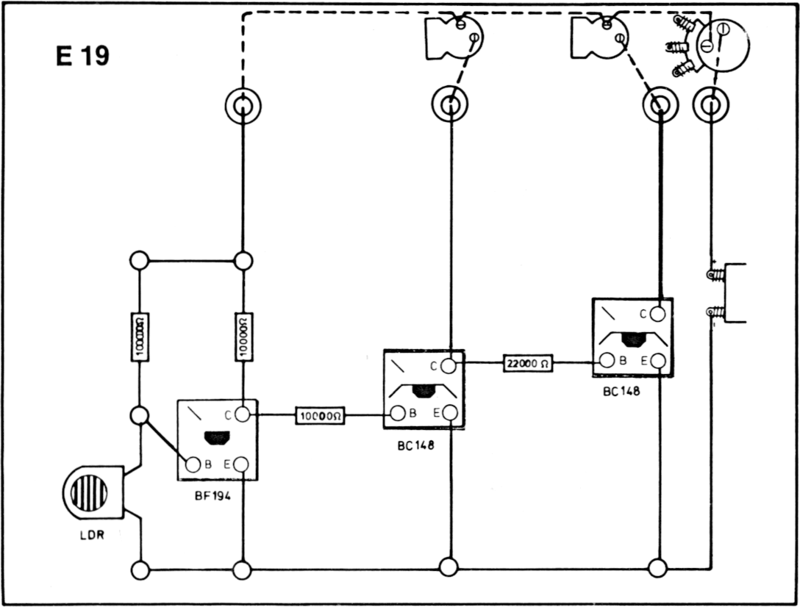 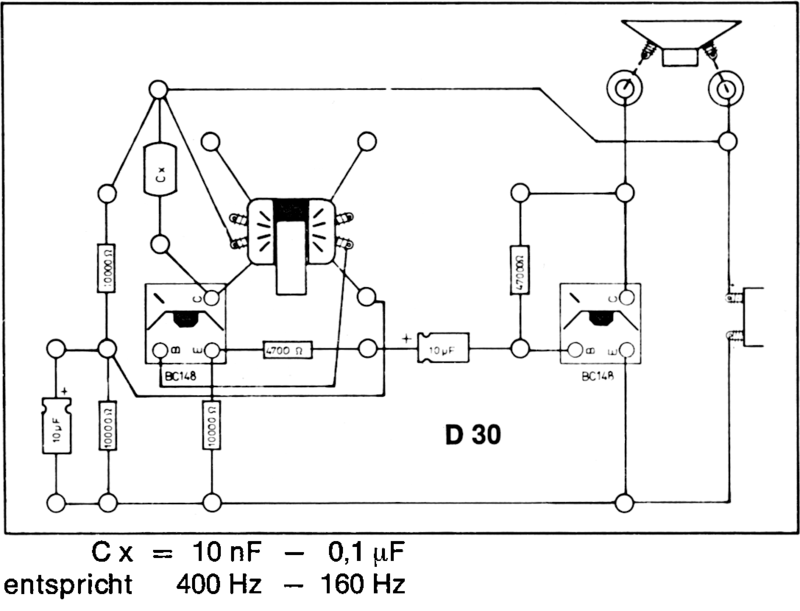 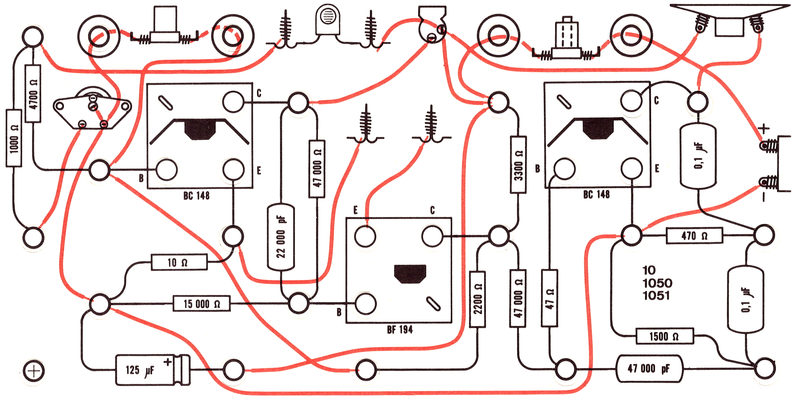 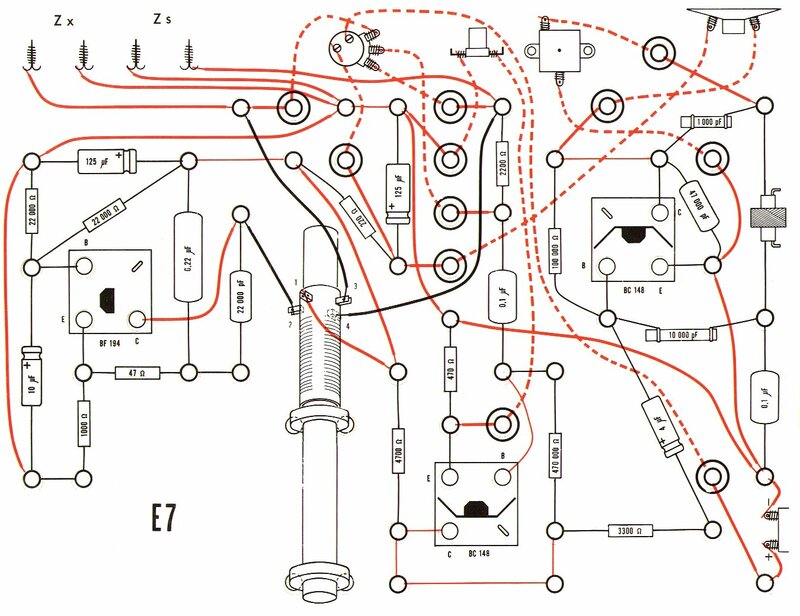 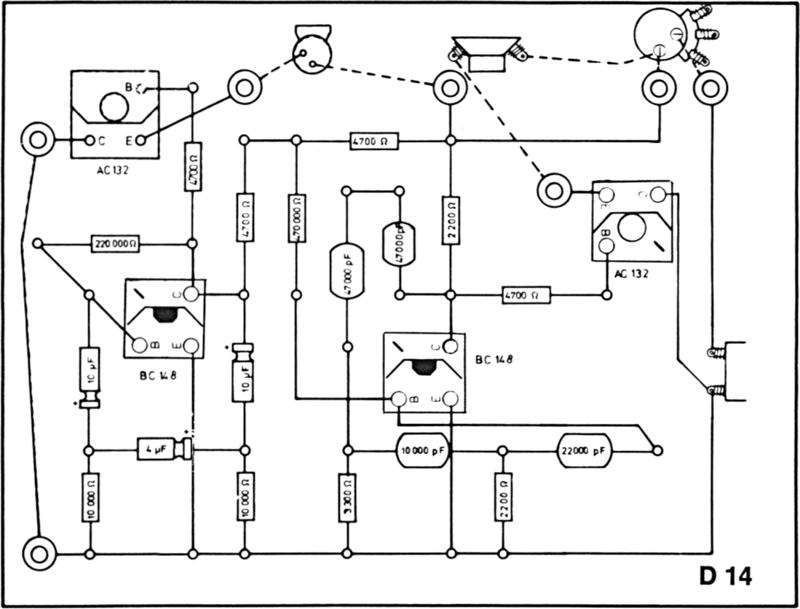 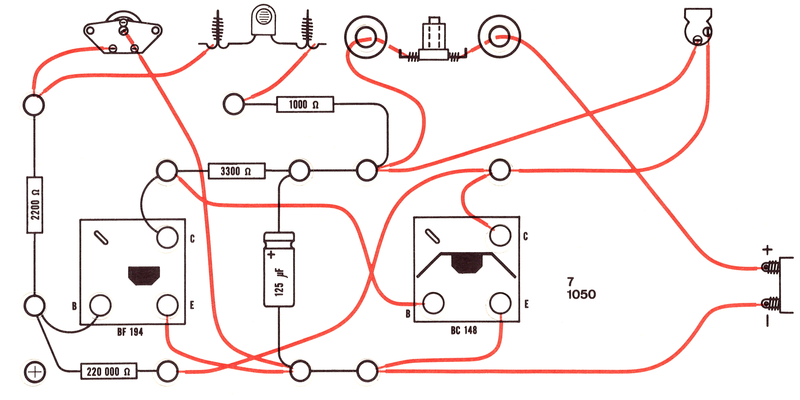 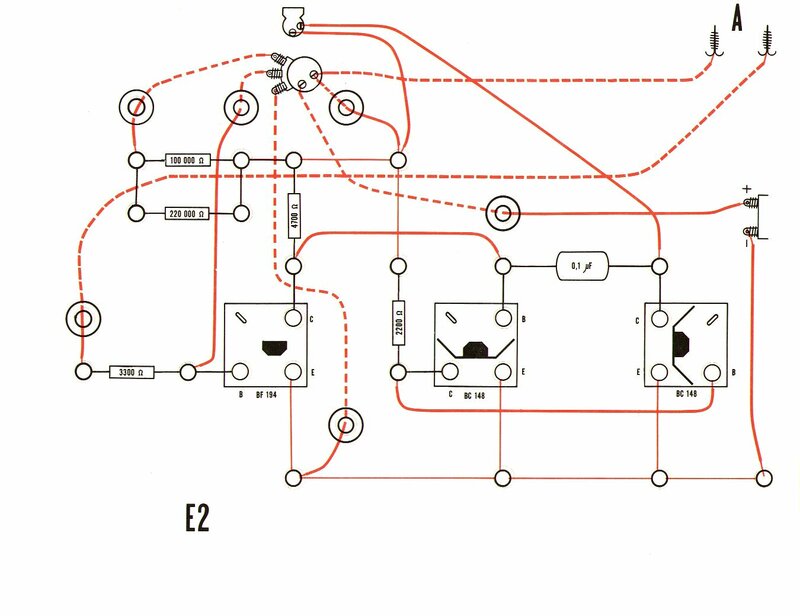 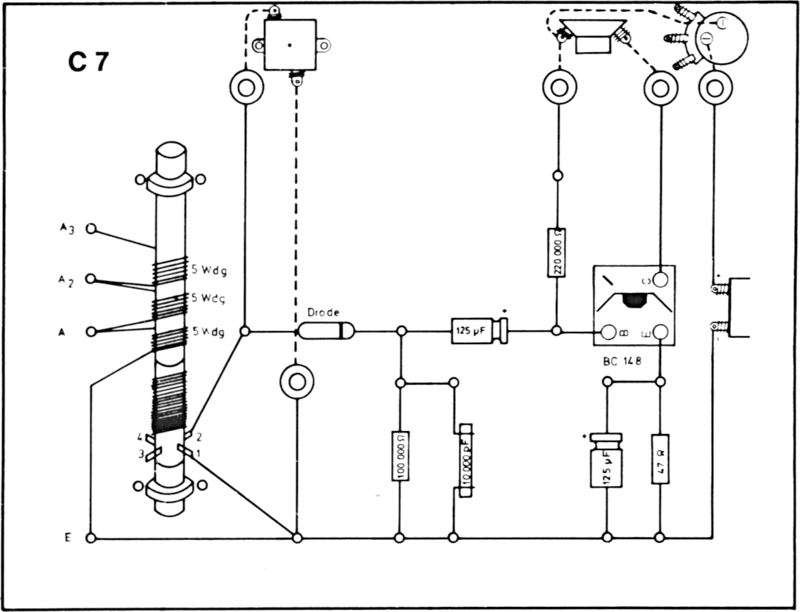 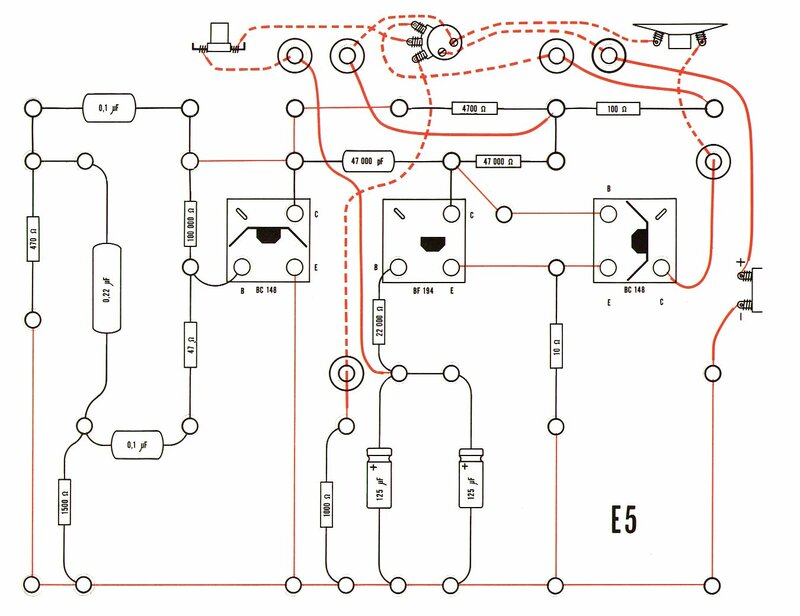 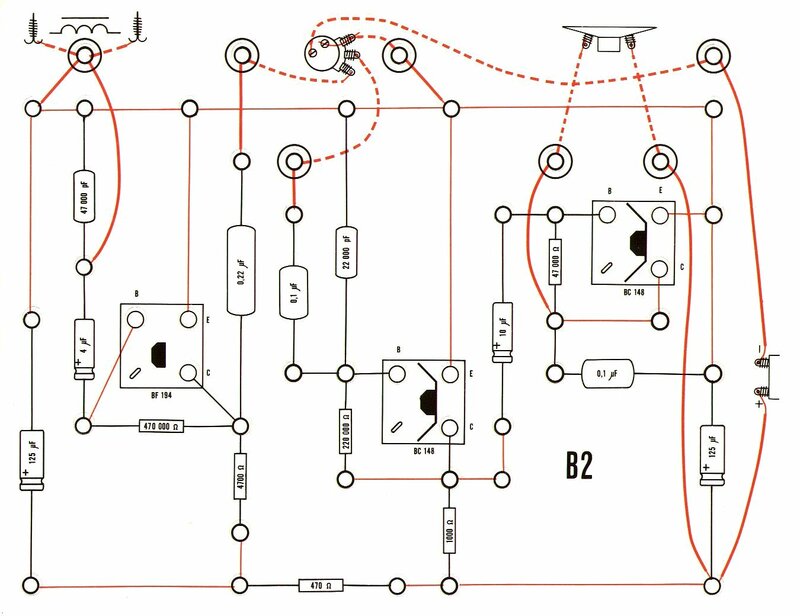 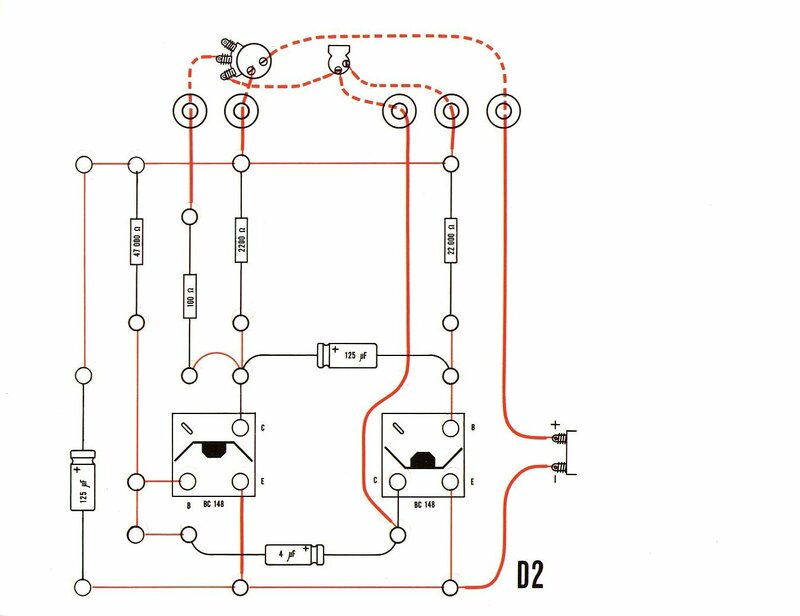 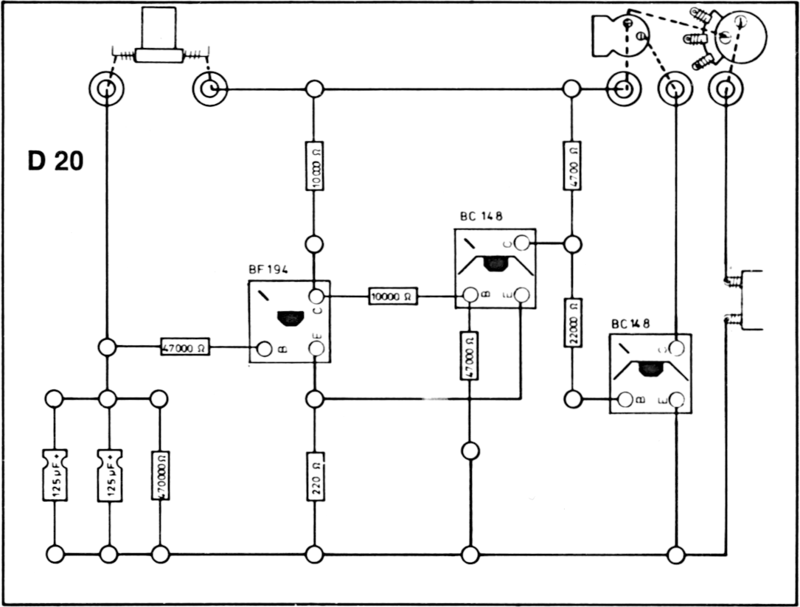 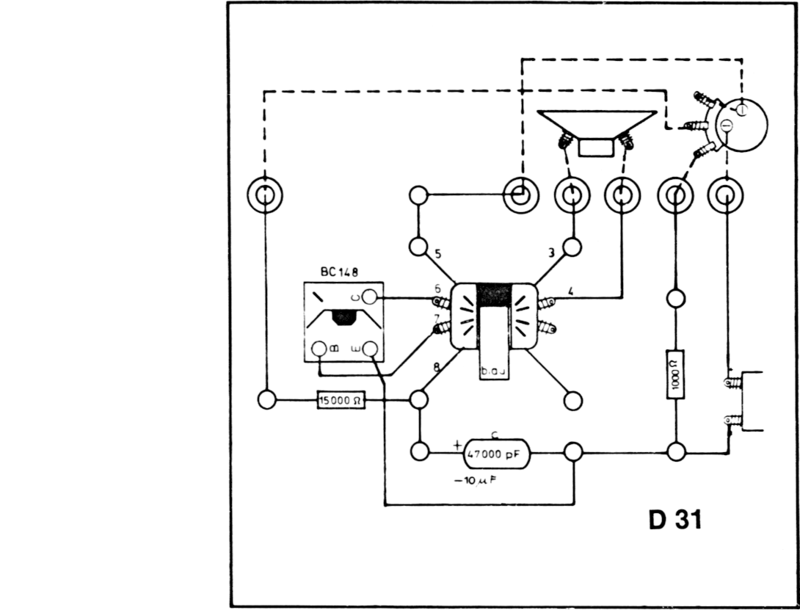 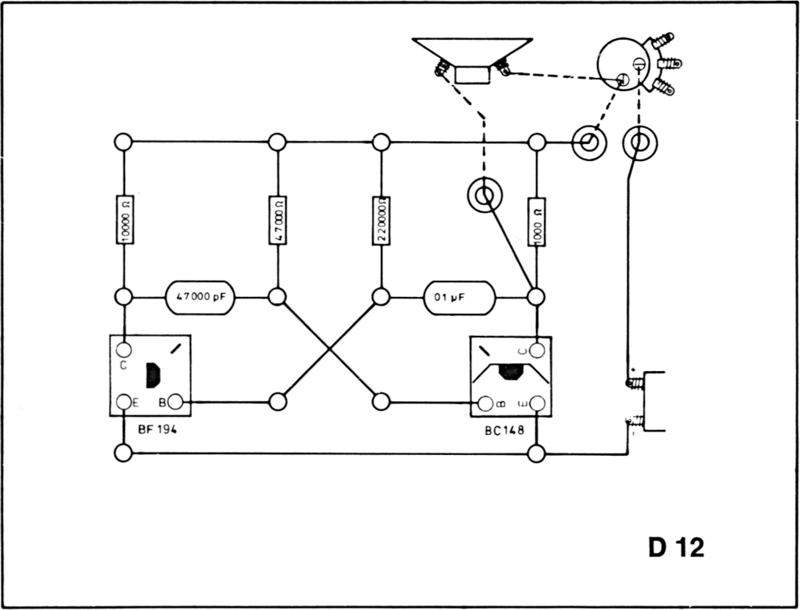 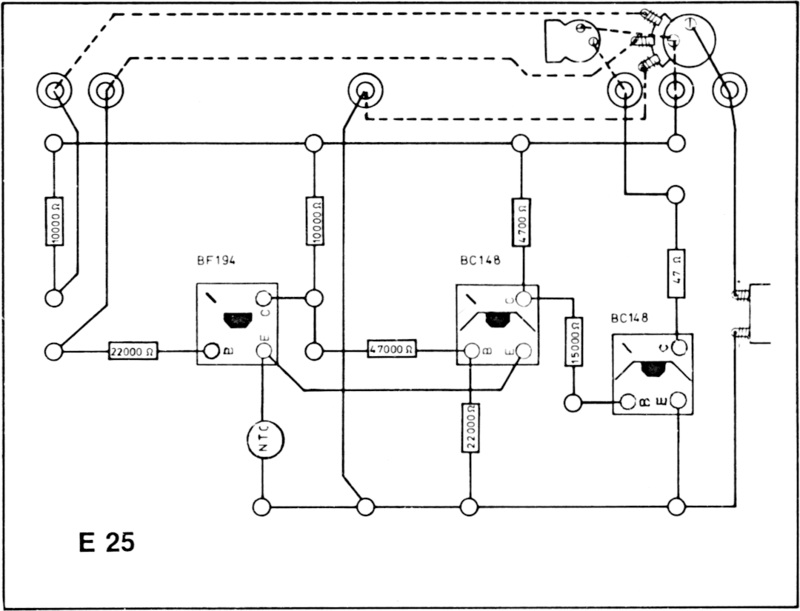 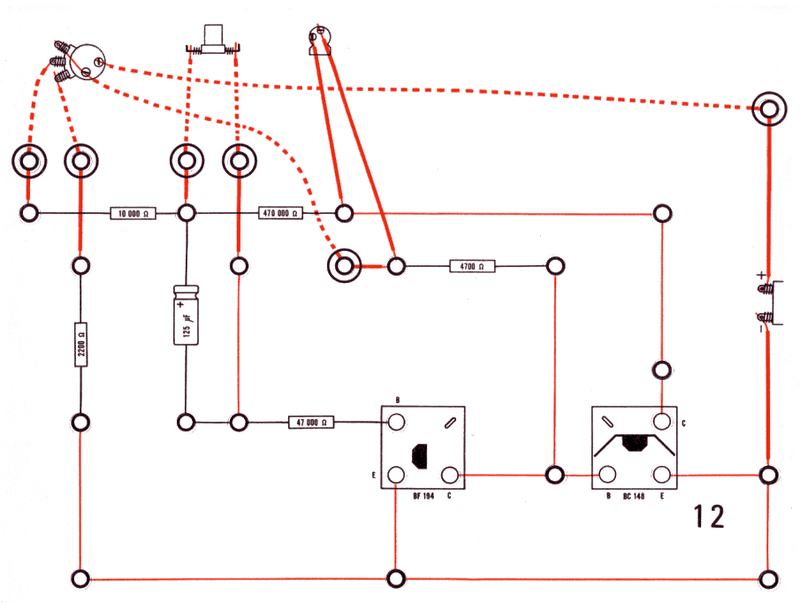 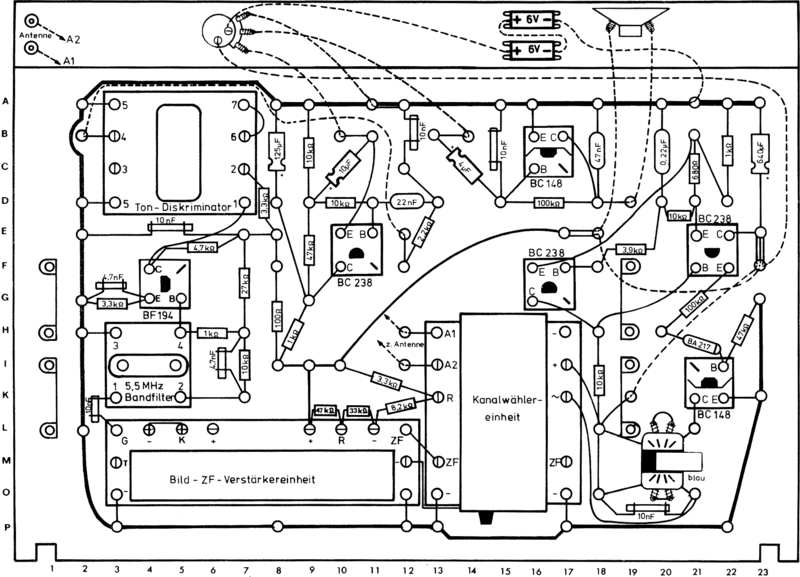 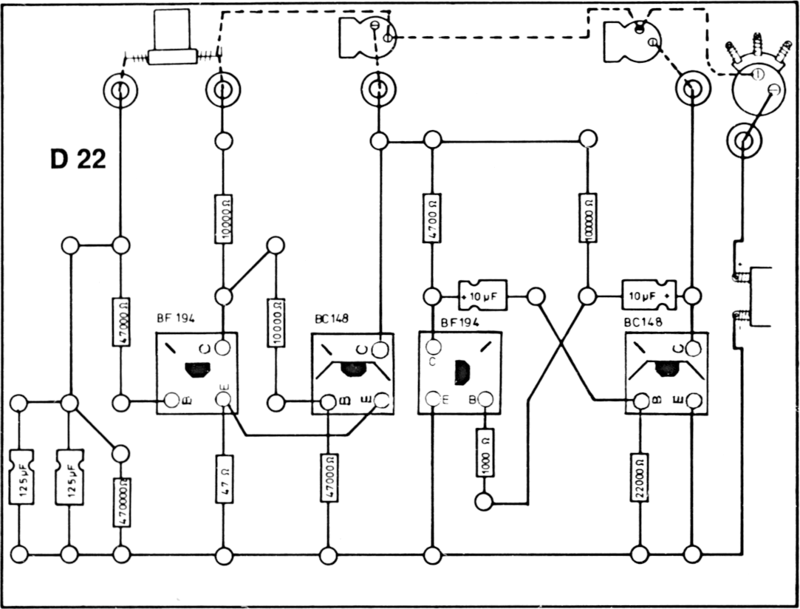 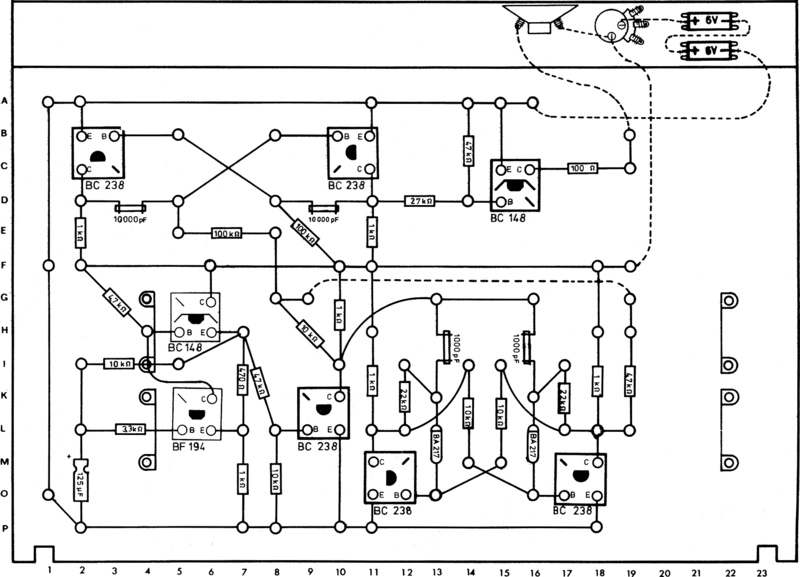 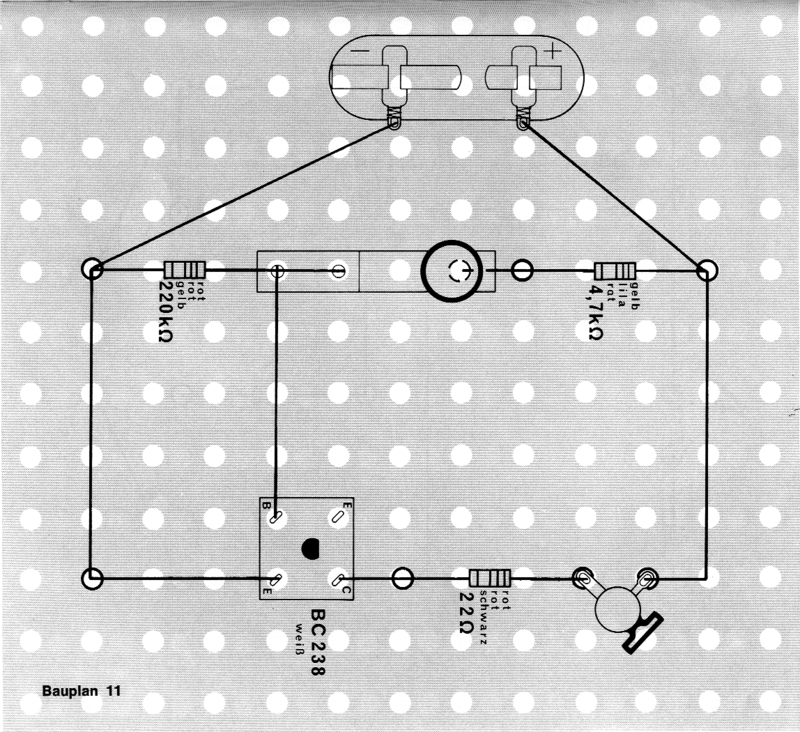 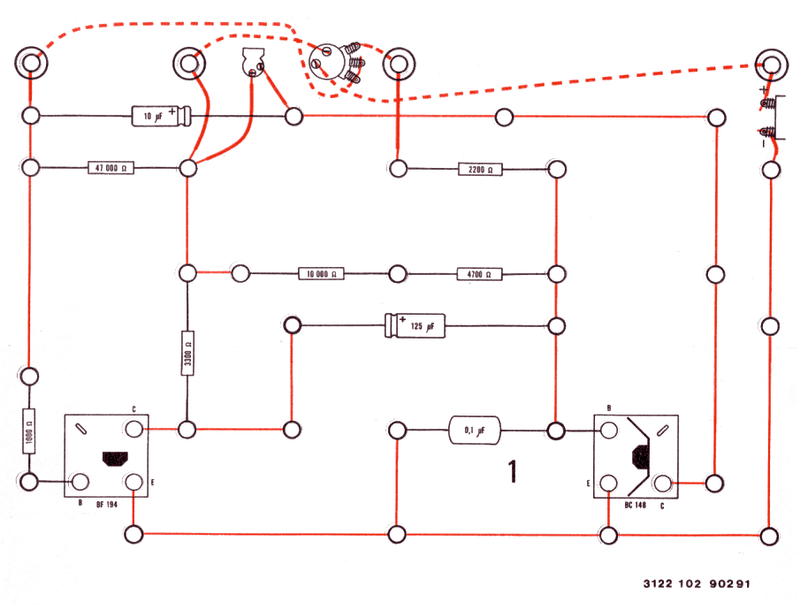 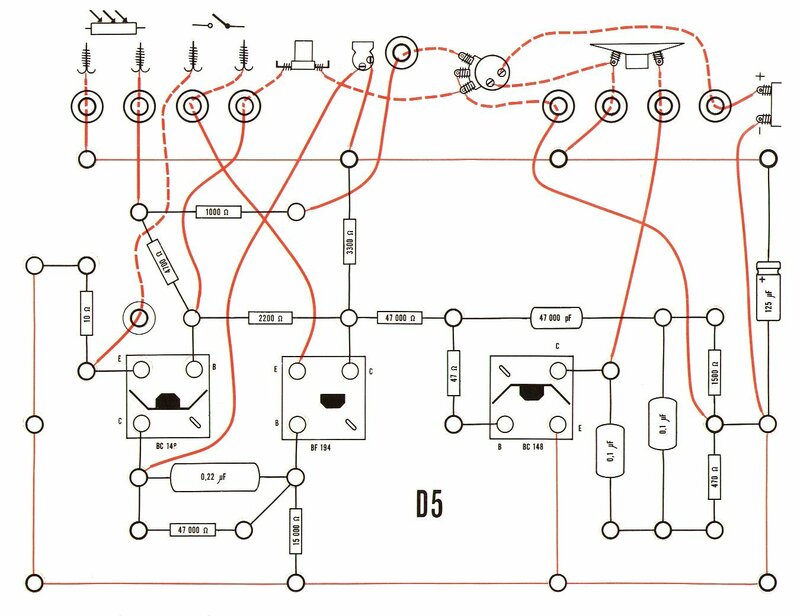 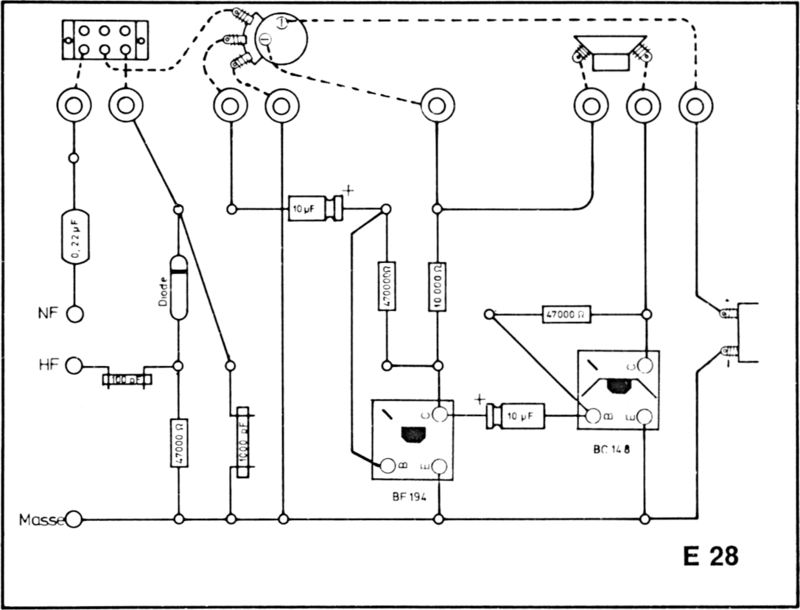 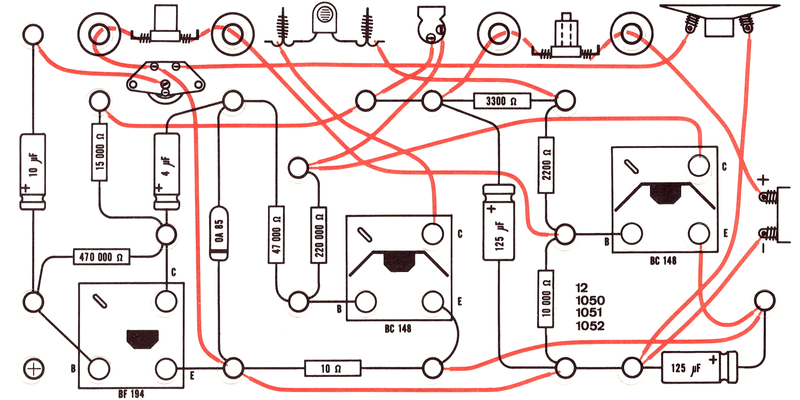 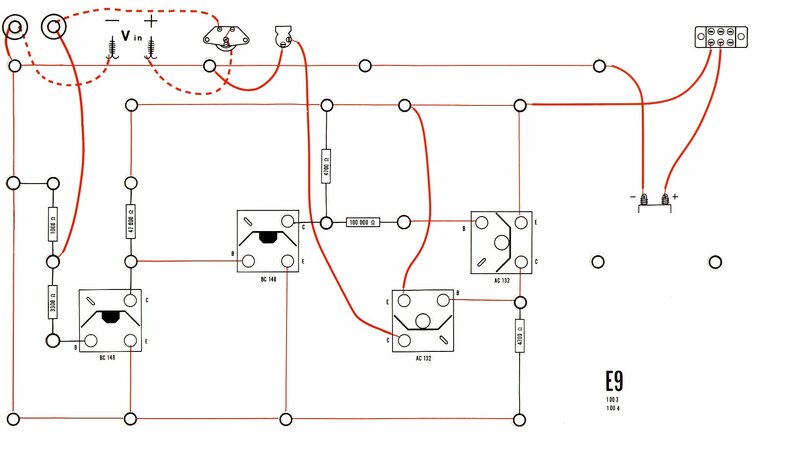 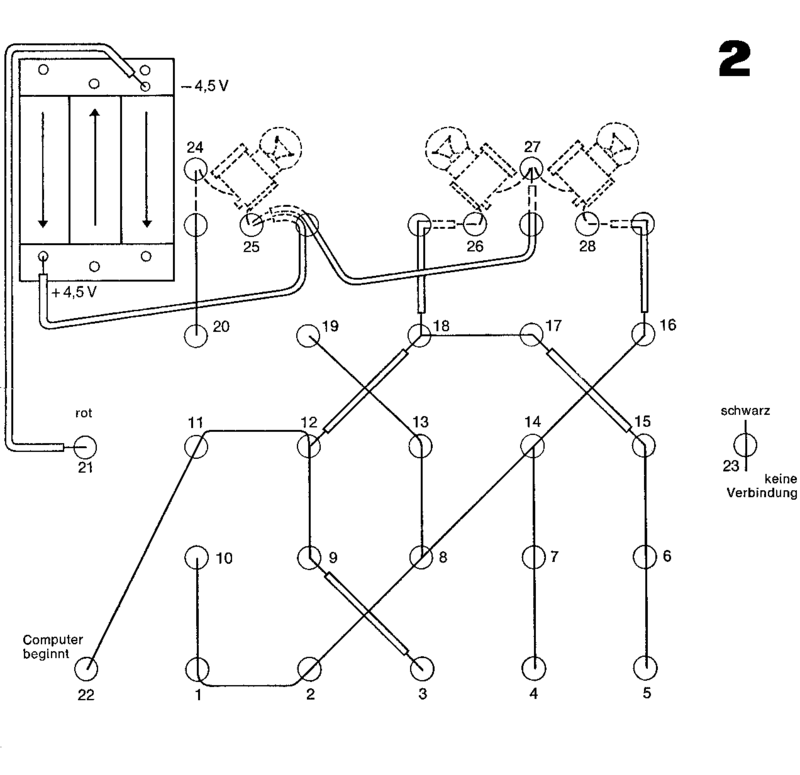 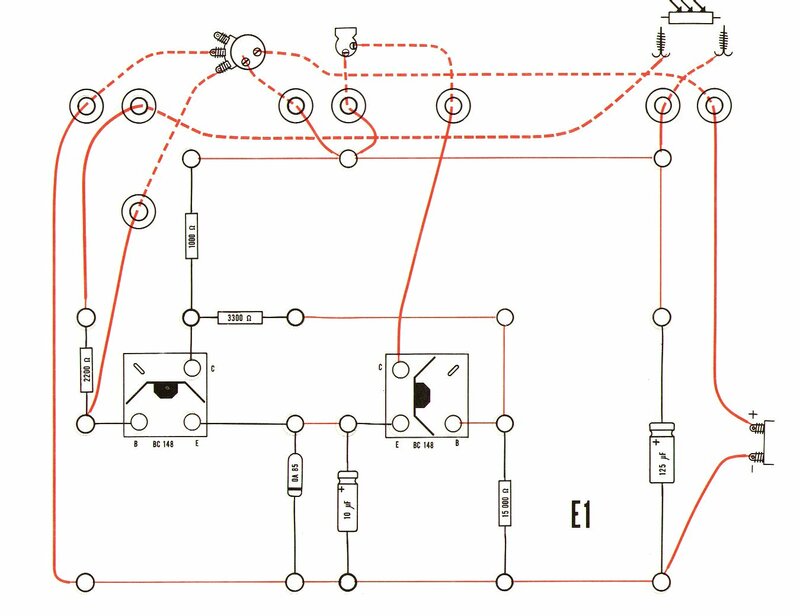 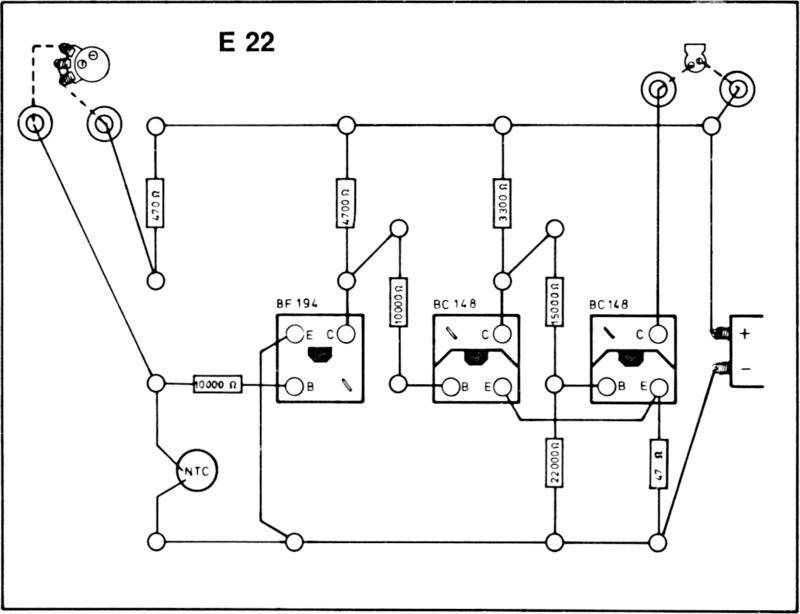 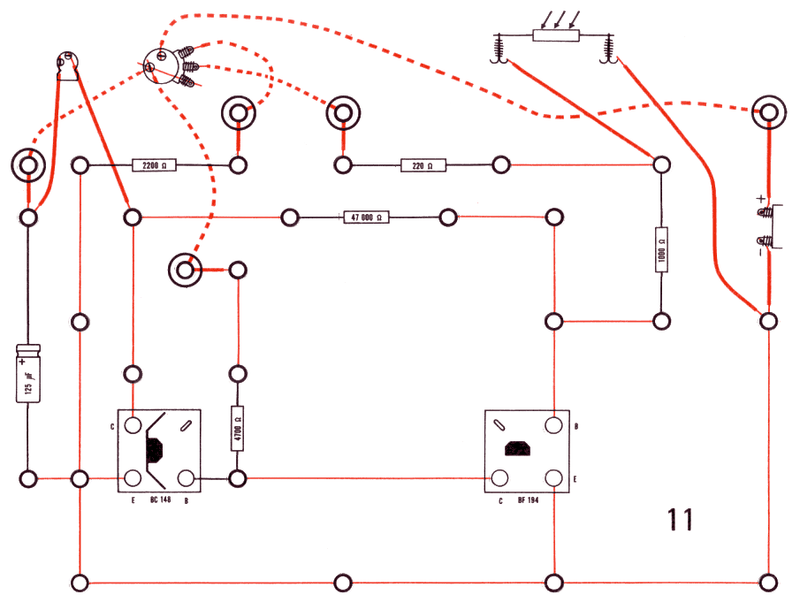 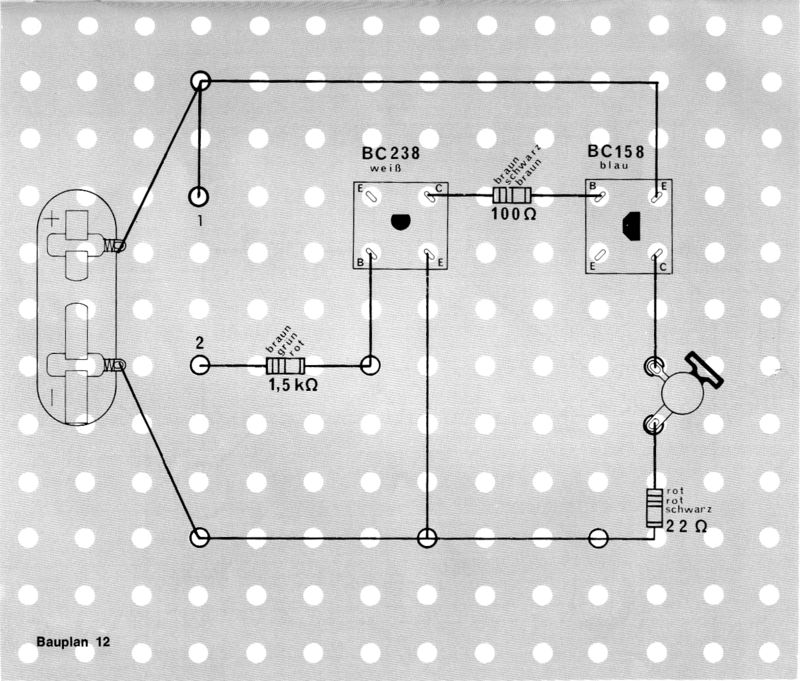 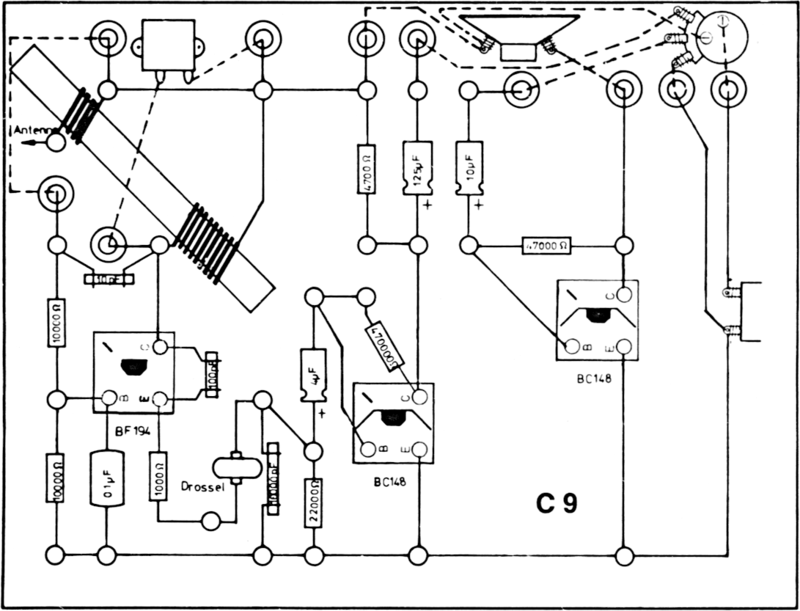 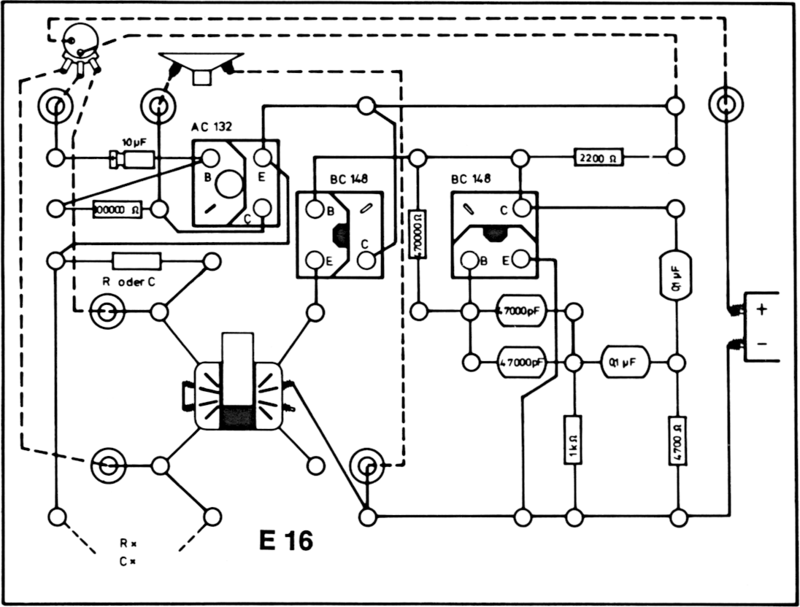 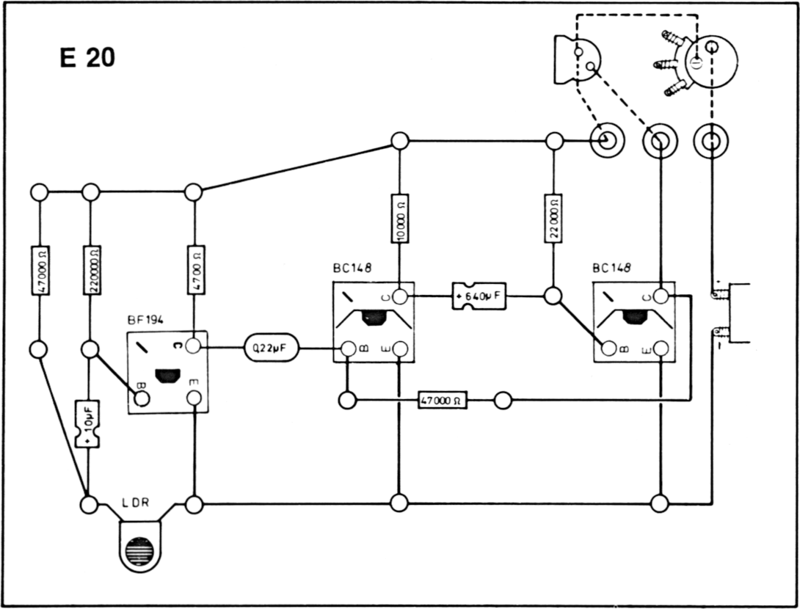 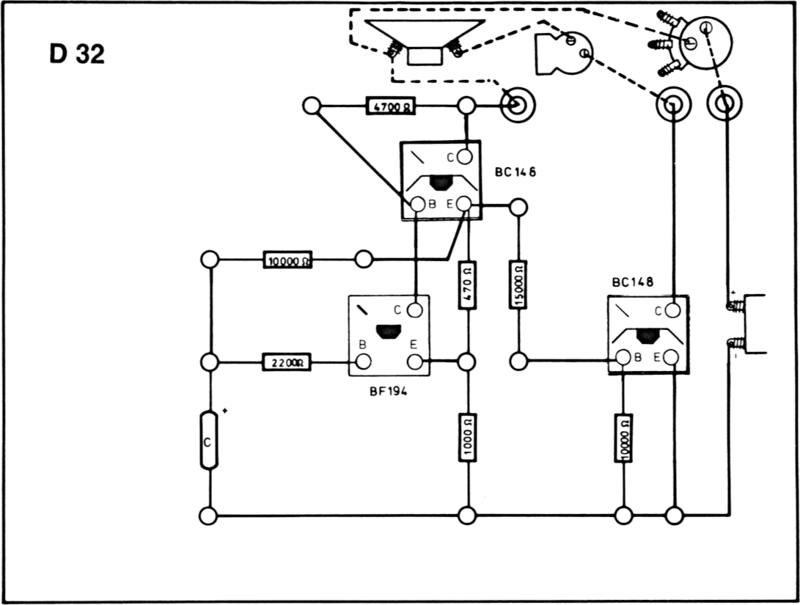 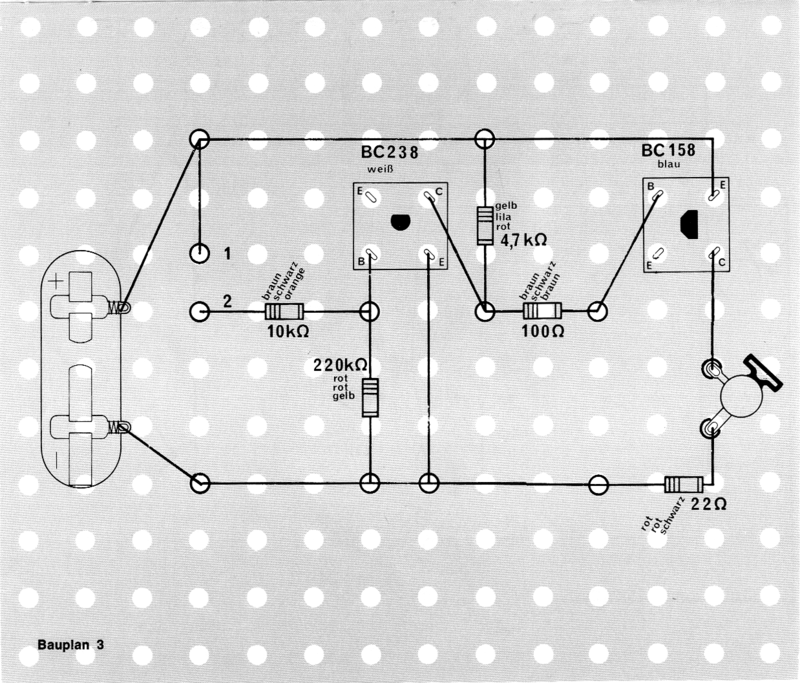 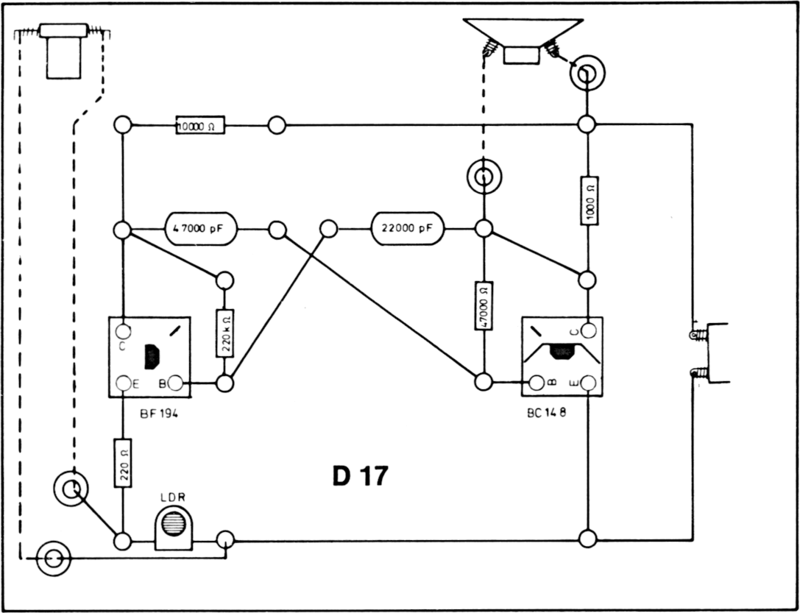 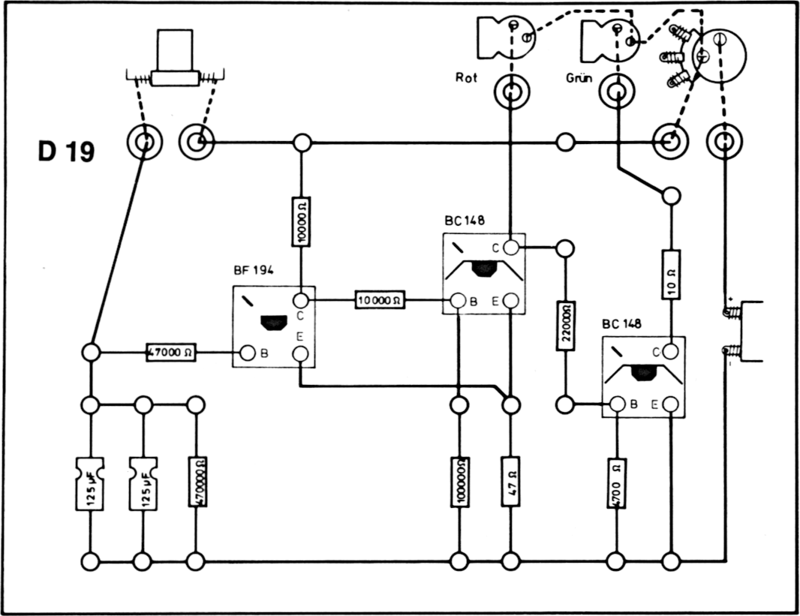 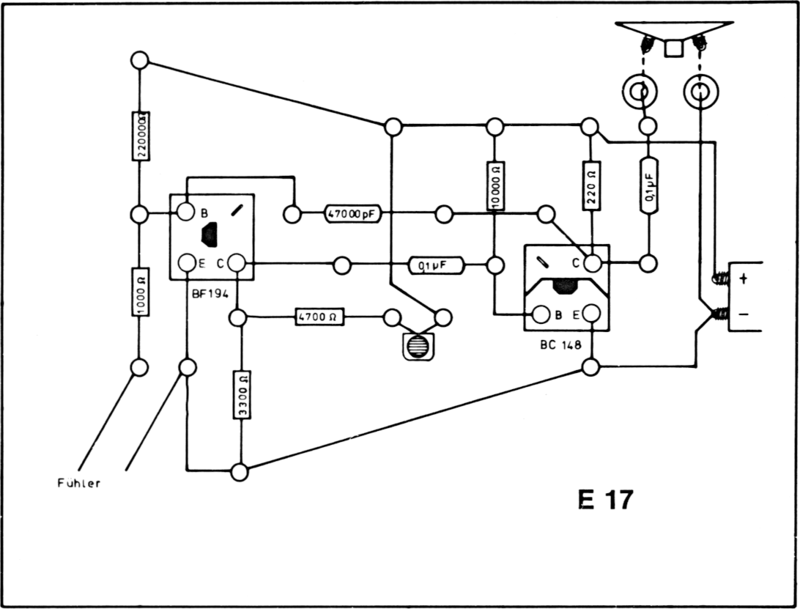 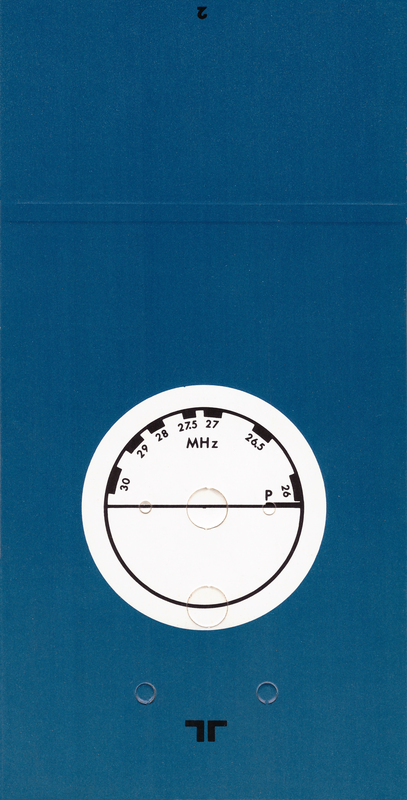 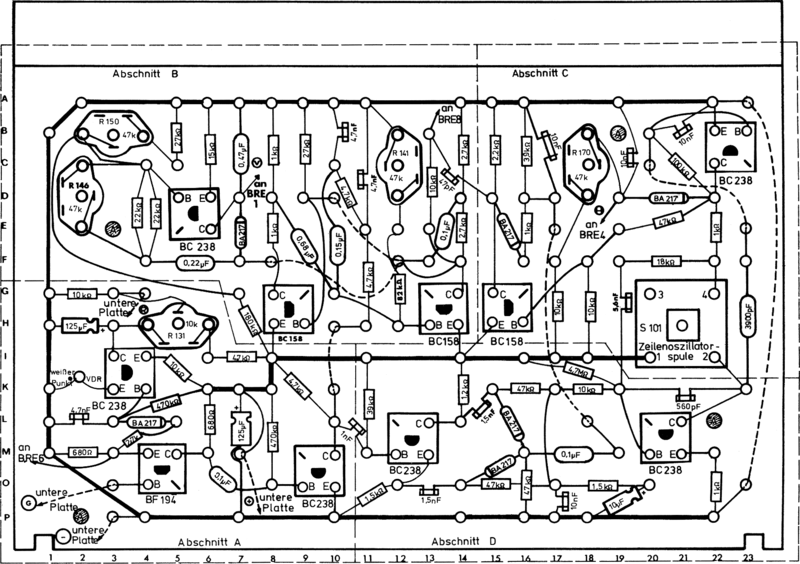 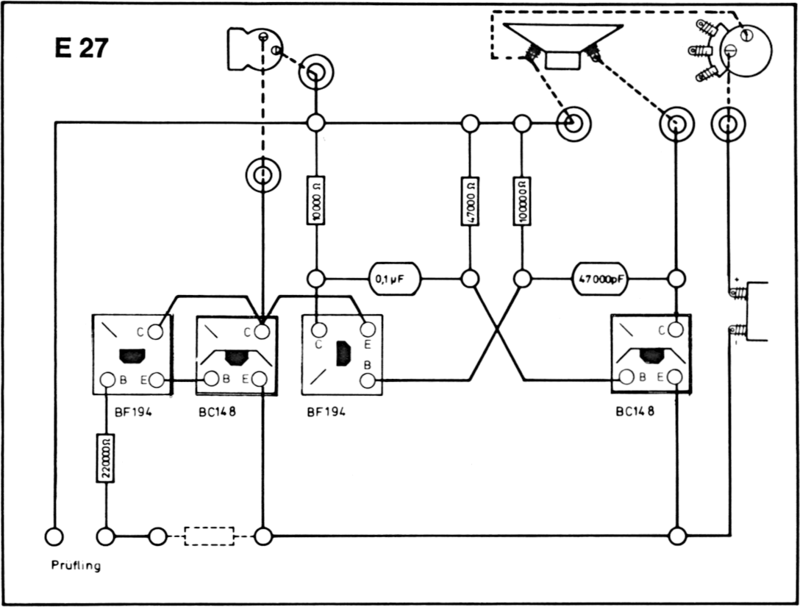 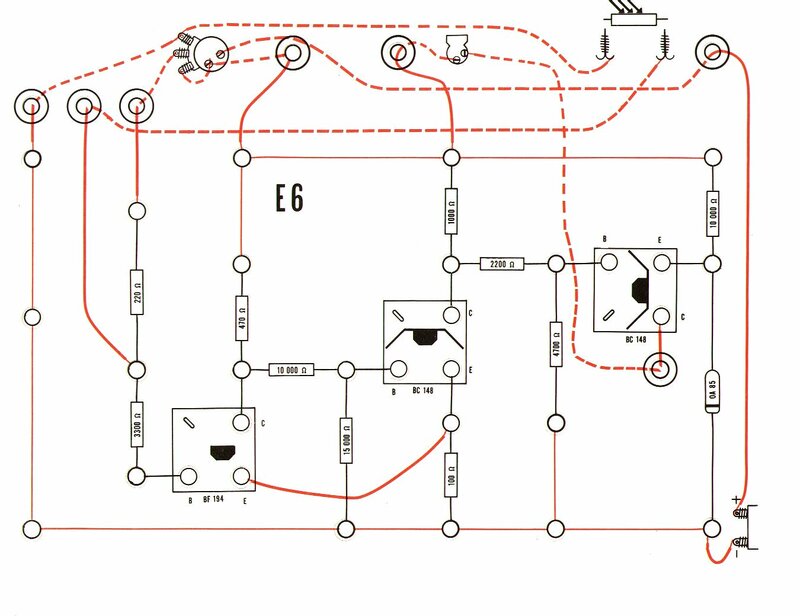 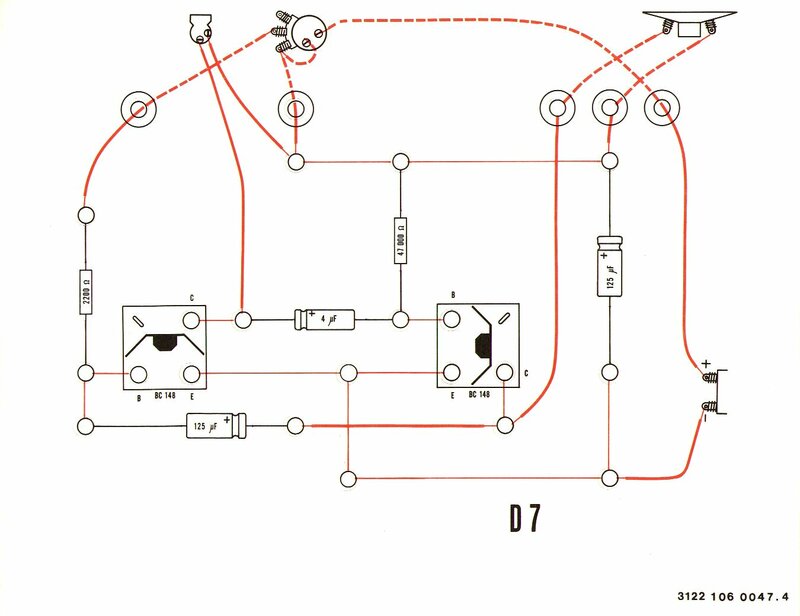 The diagrams and the front panels are only included in EE 1010, but the diagrams are also reproduced in reduced size in the EE 1006 manual. 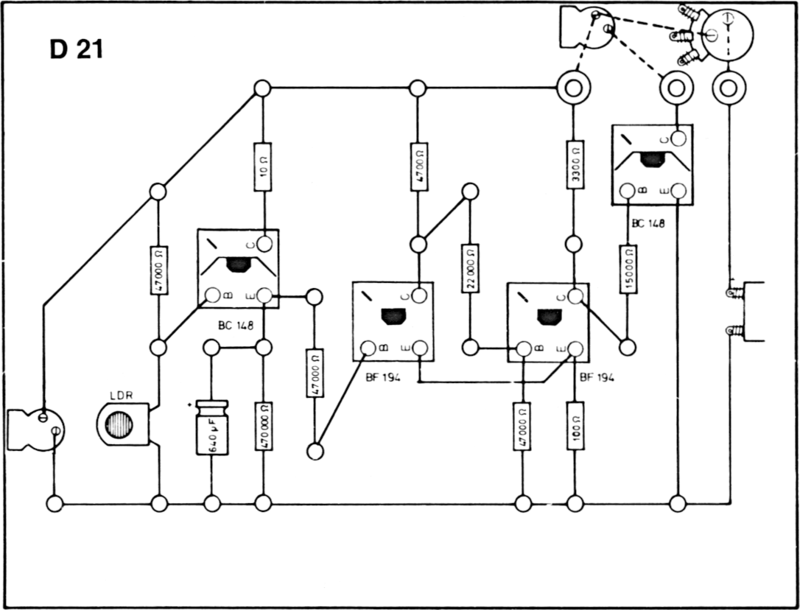 The front panel identified by the Roman number I here is different from the one identified by the letter I in EE 1005. 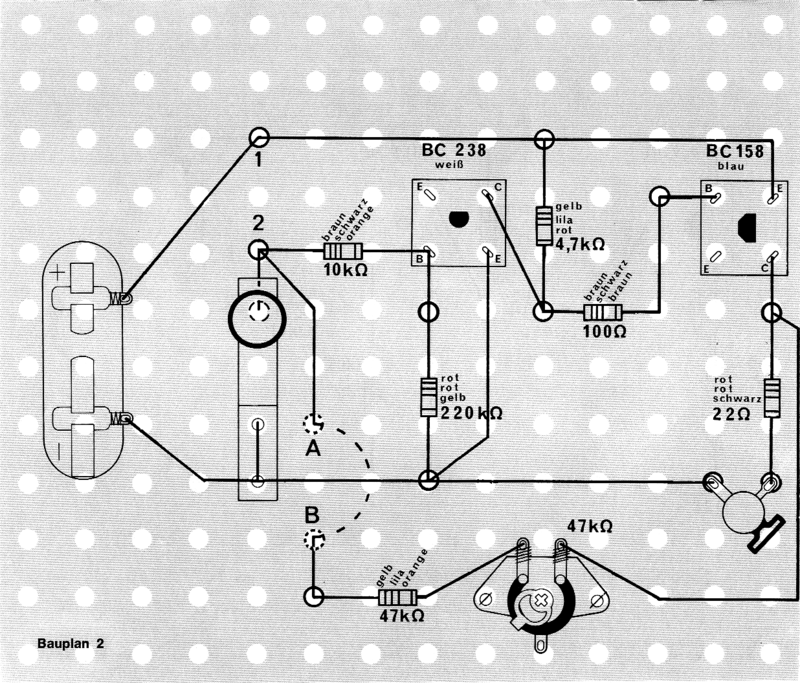 The front panel identified by the letter I here is different from the one identified by the Roman number I in EE 1010. 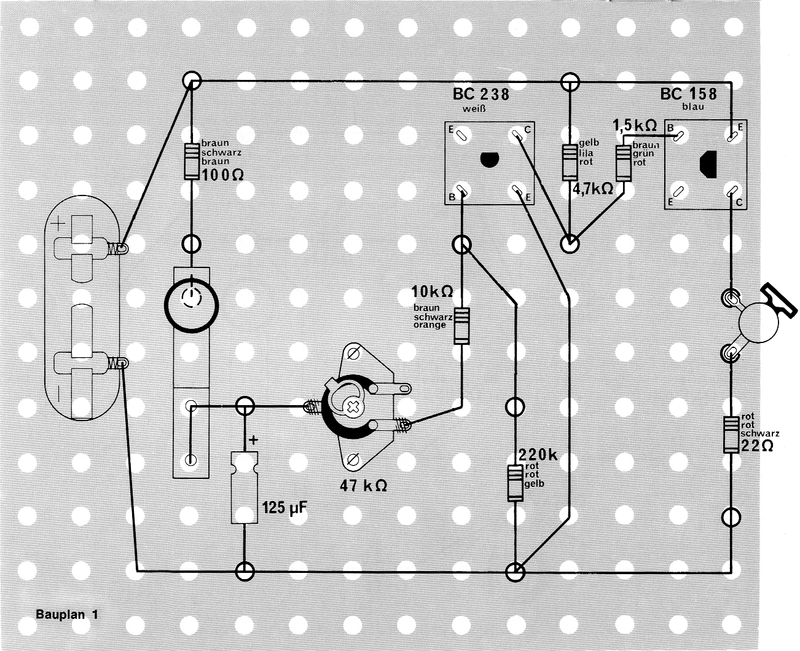 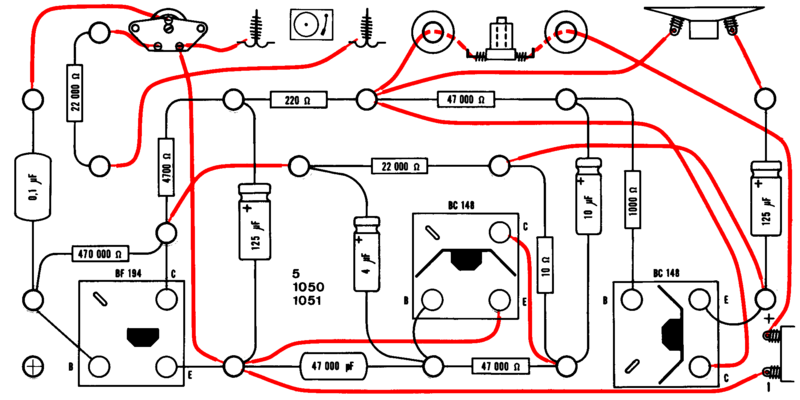 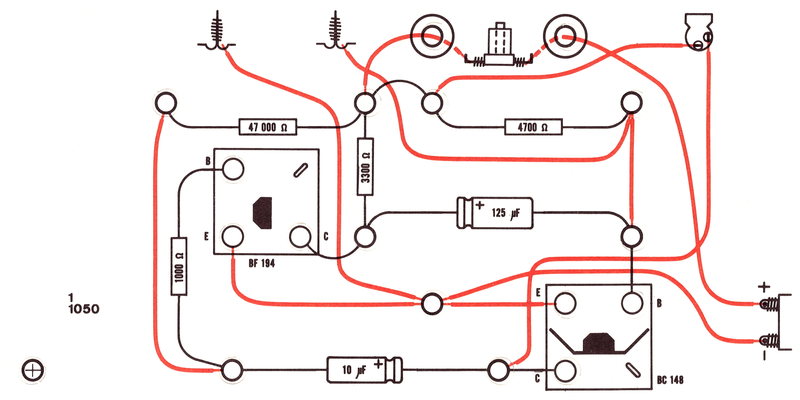 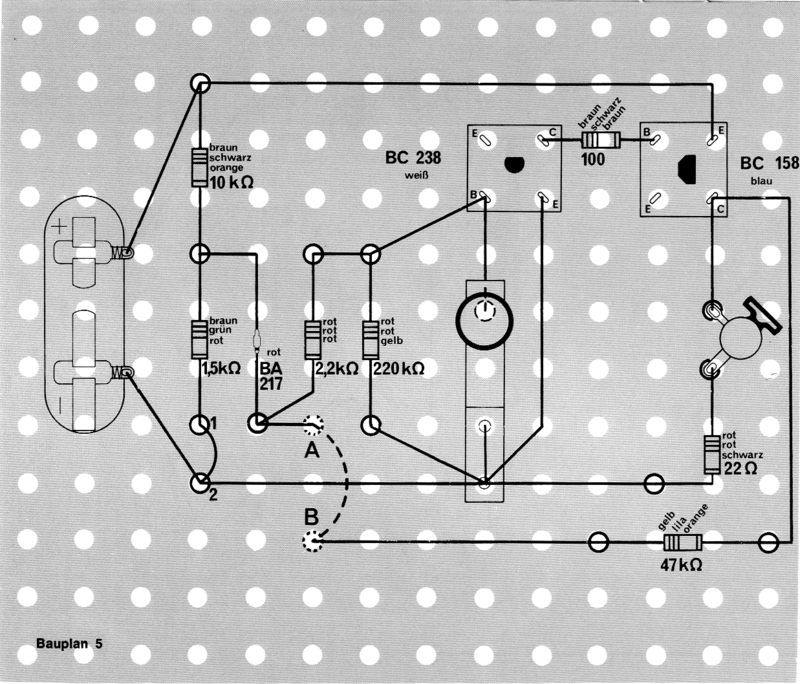 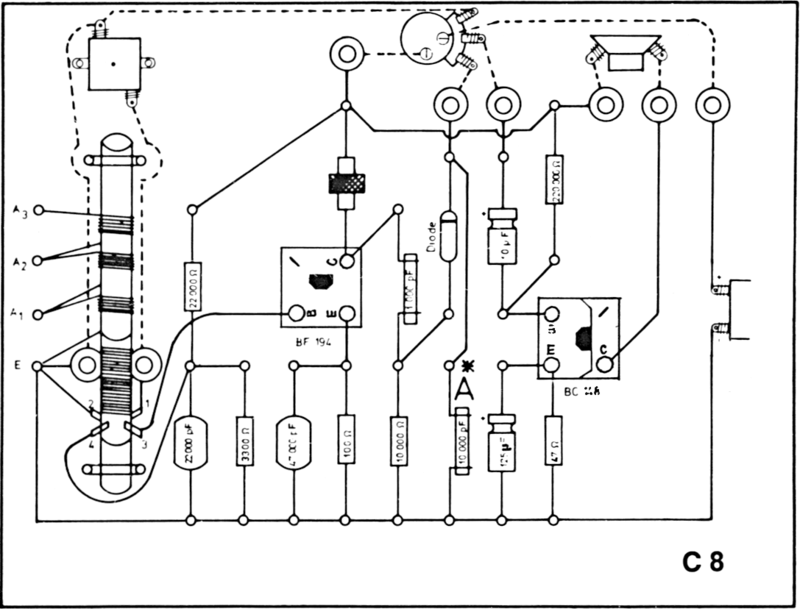 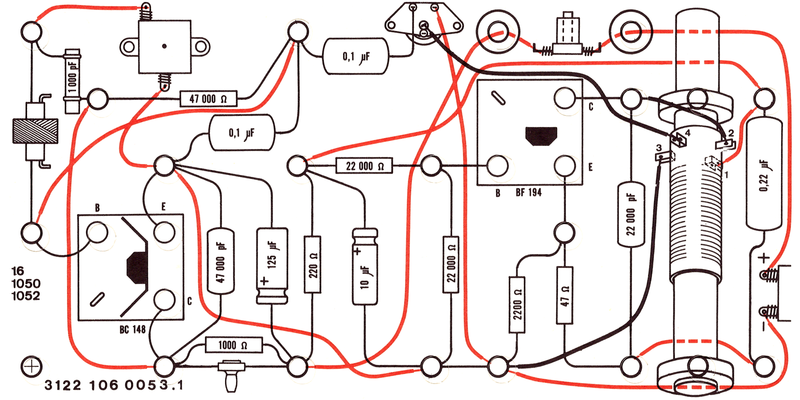 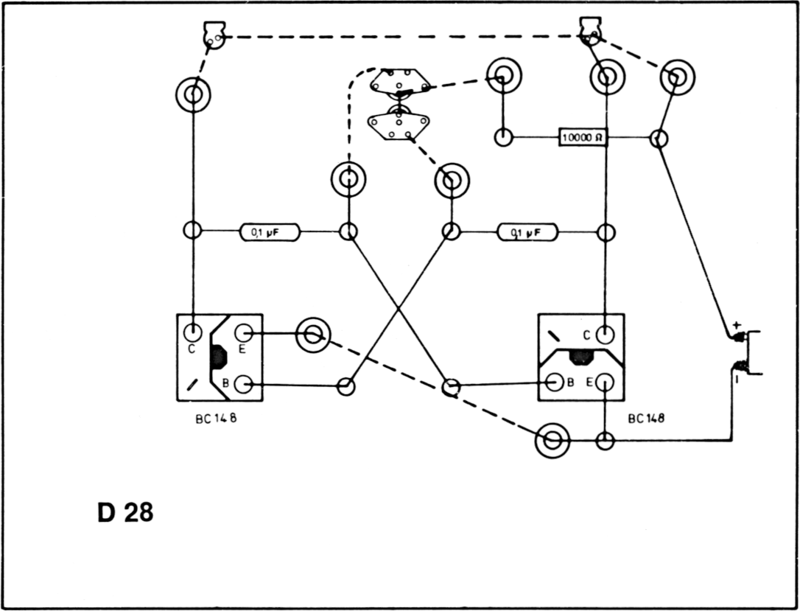 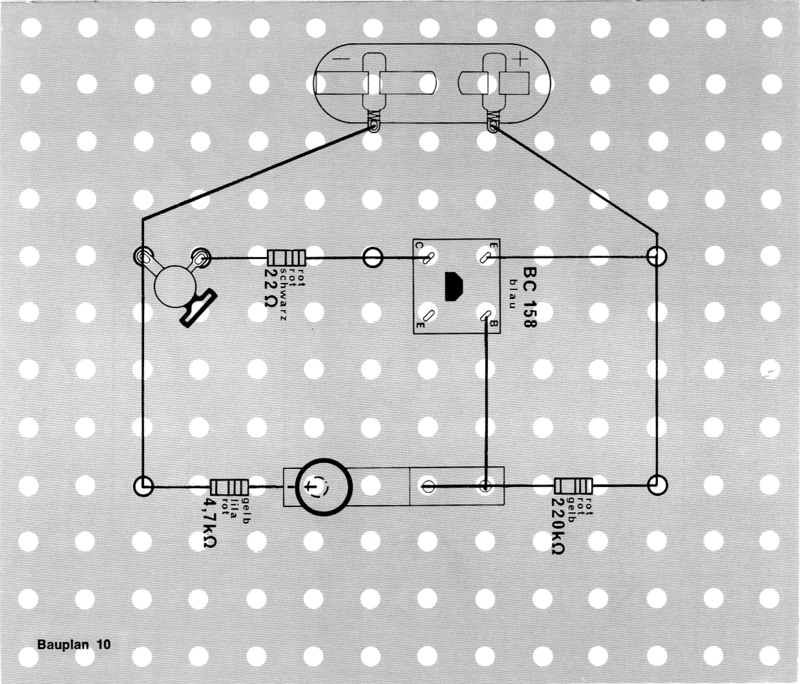 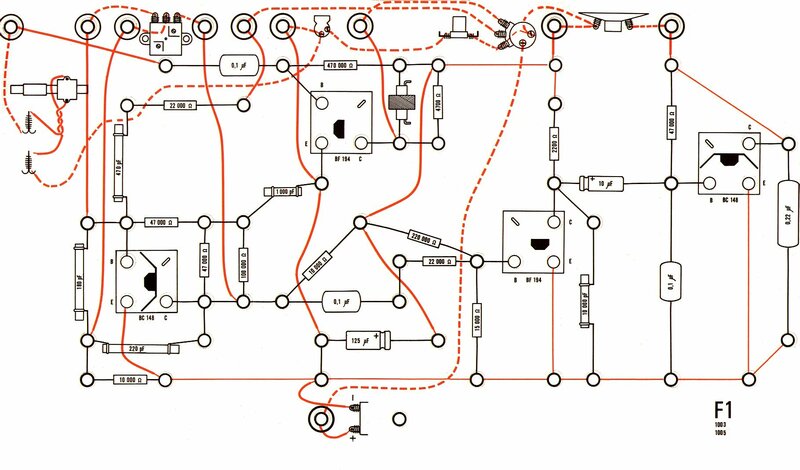 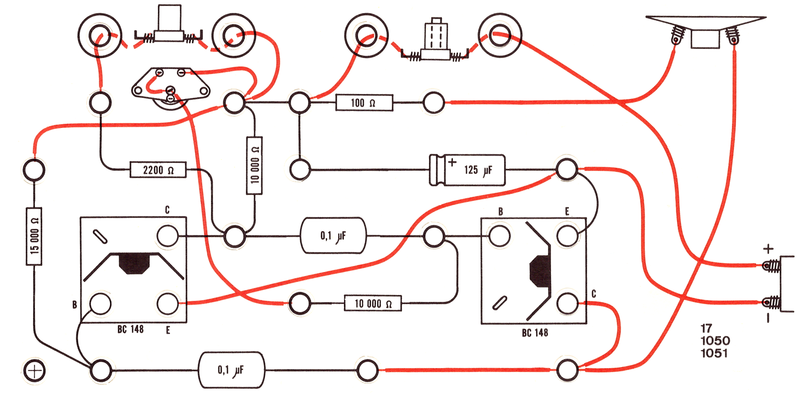 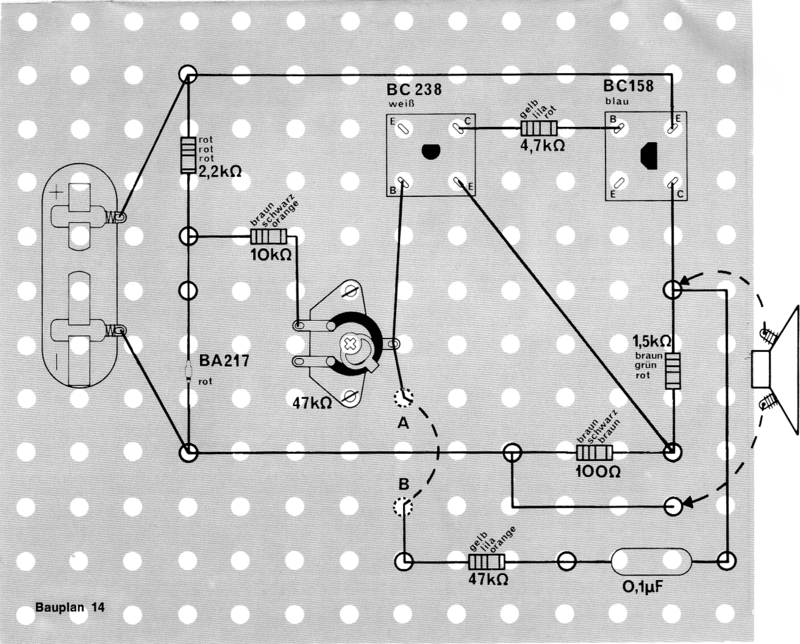 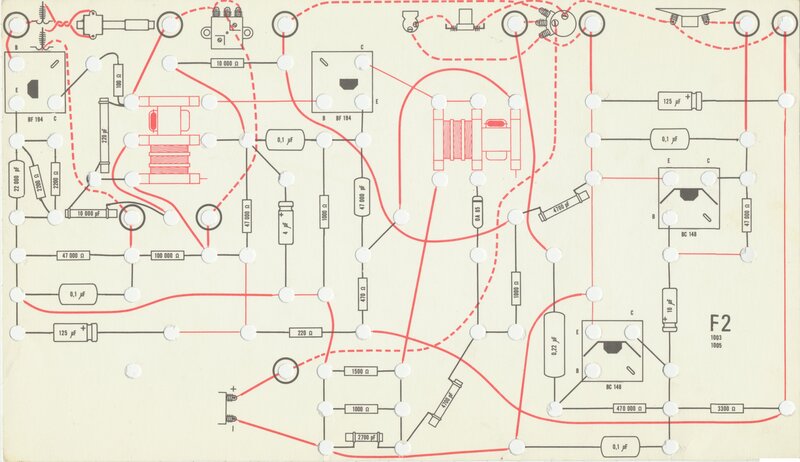 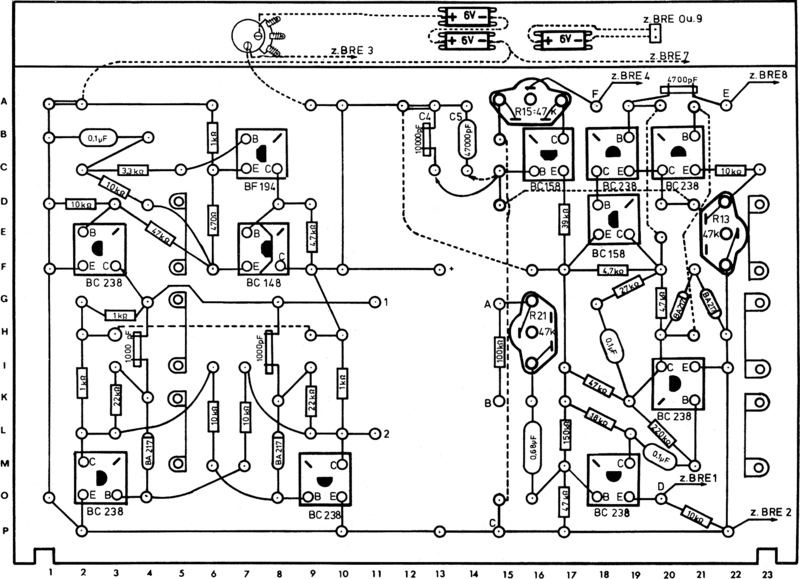 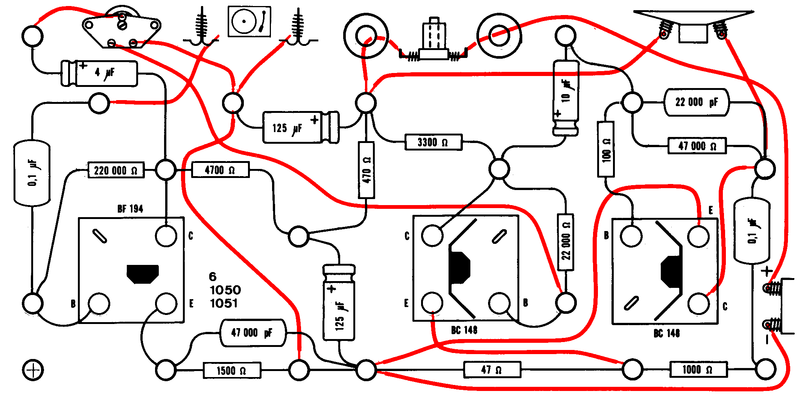 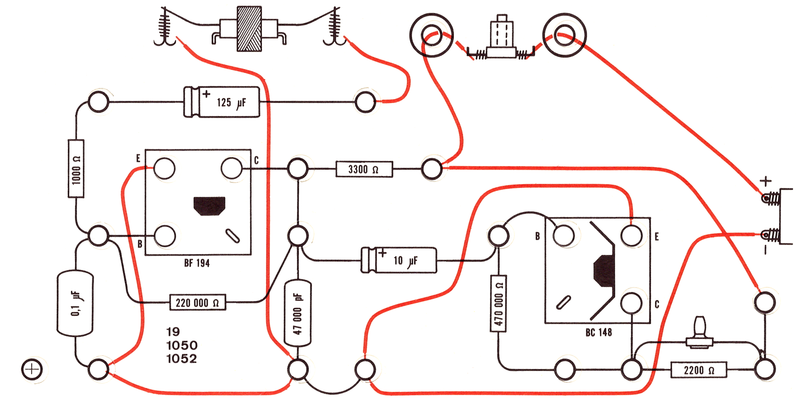 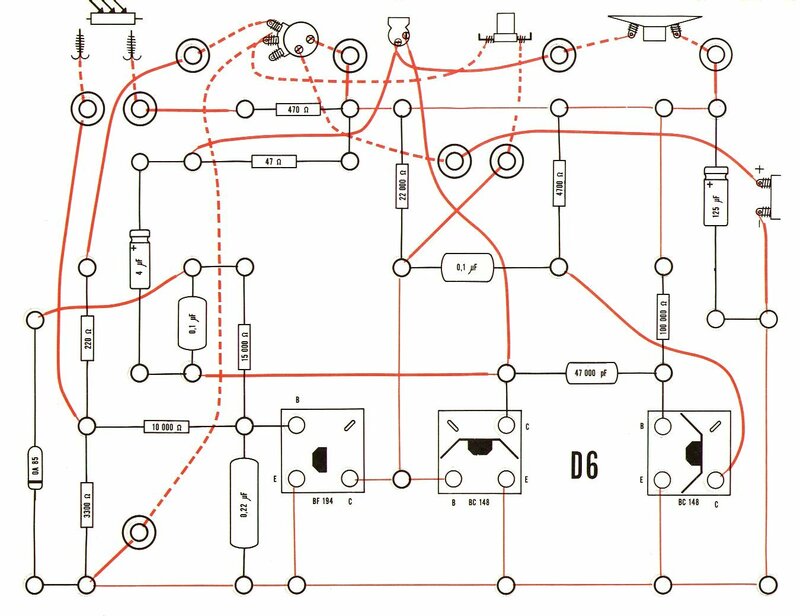 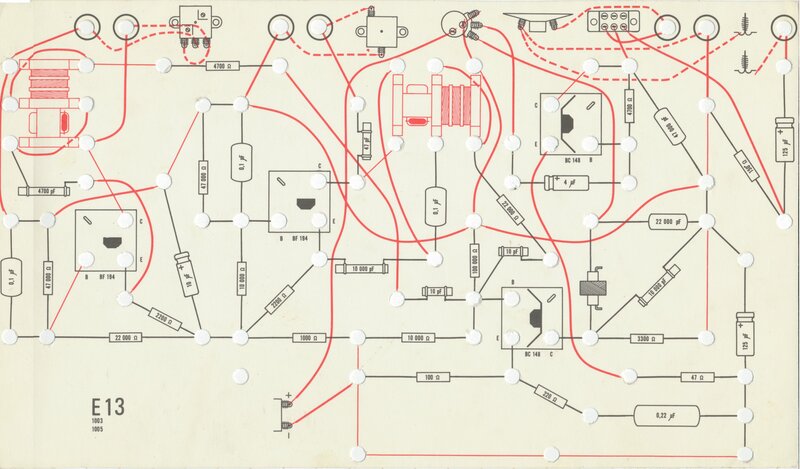 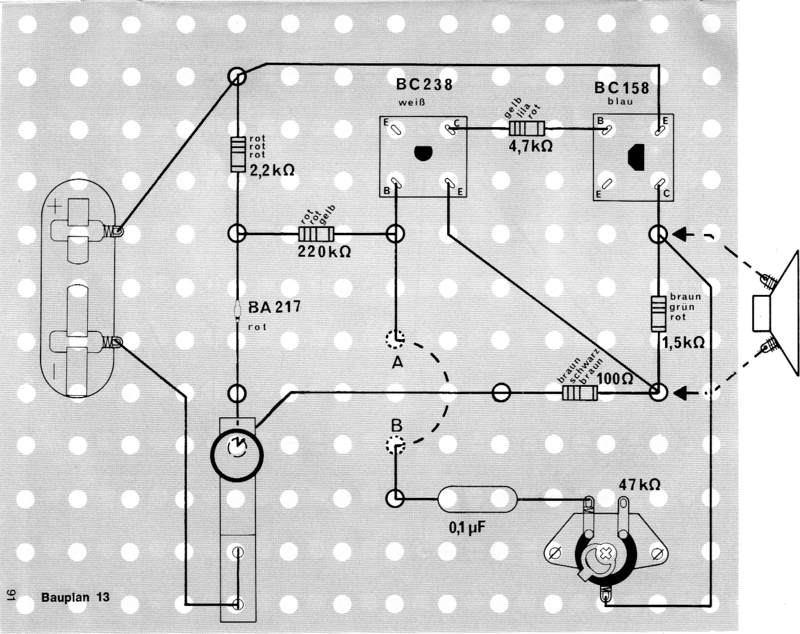 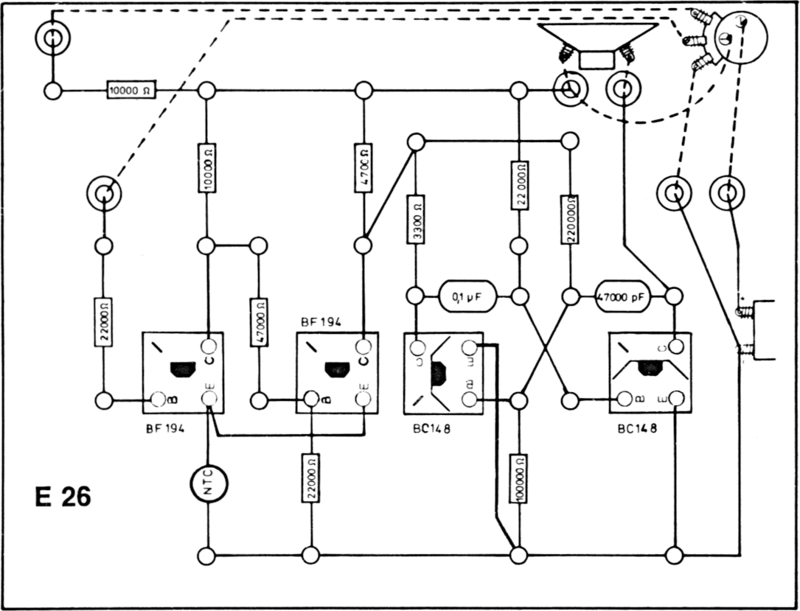 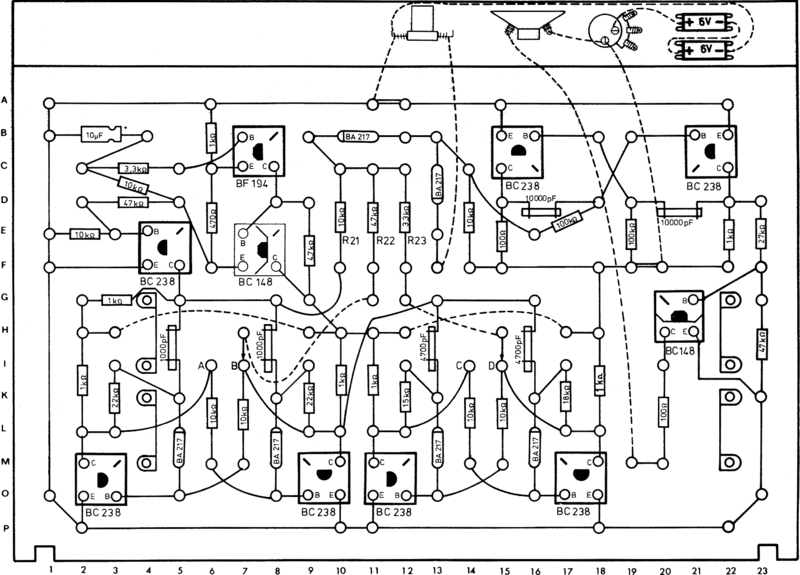 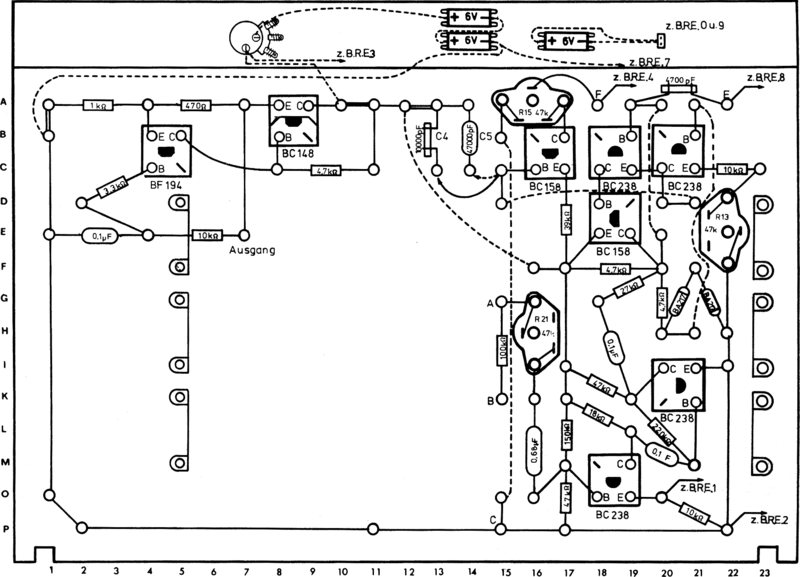 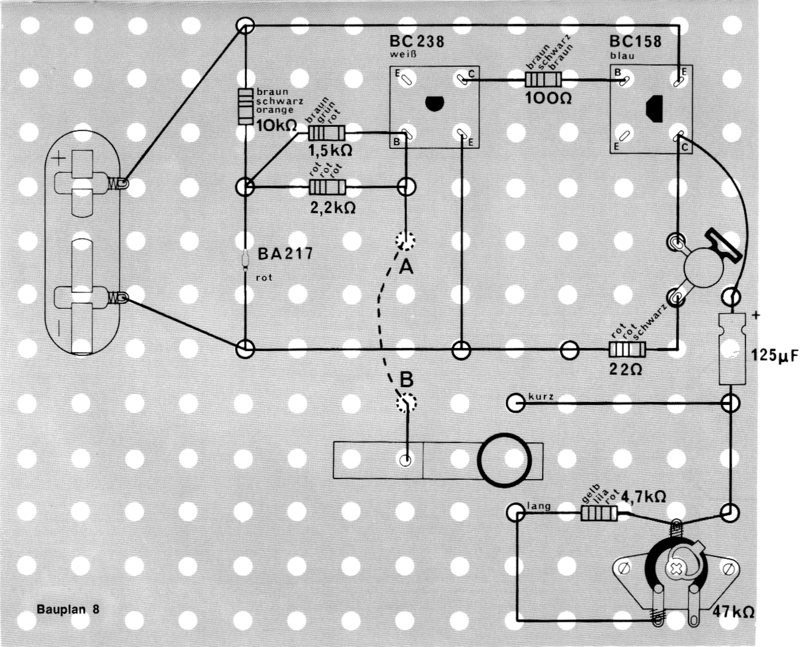 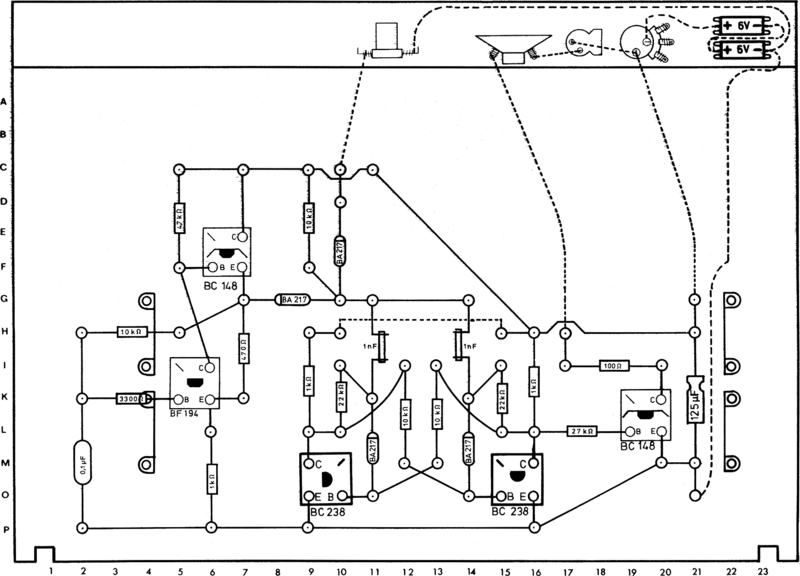 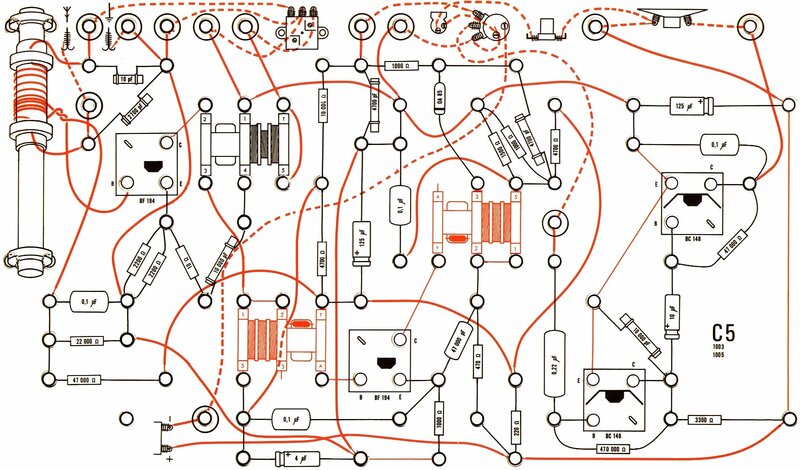 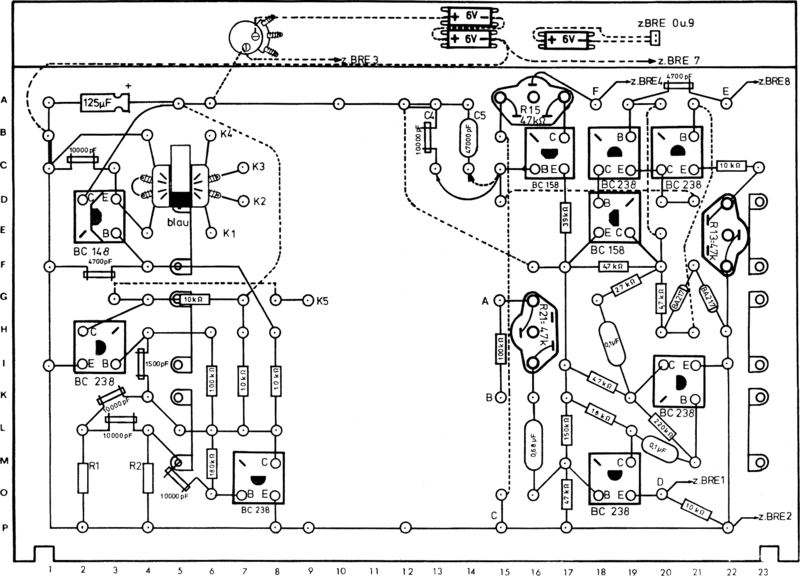 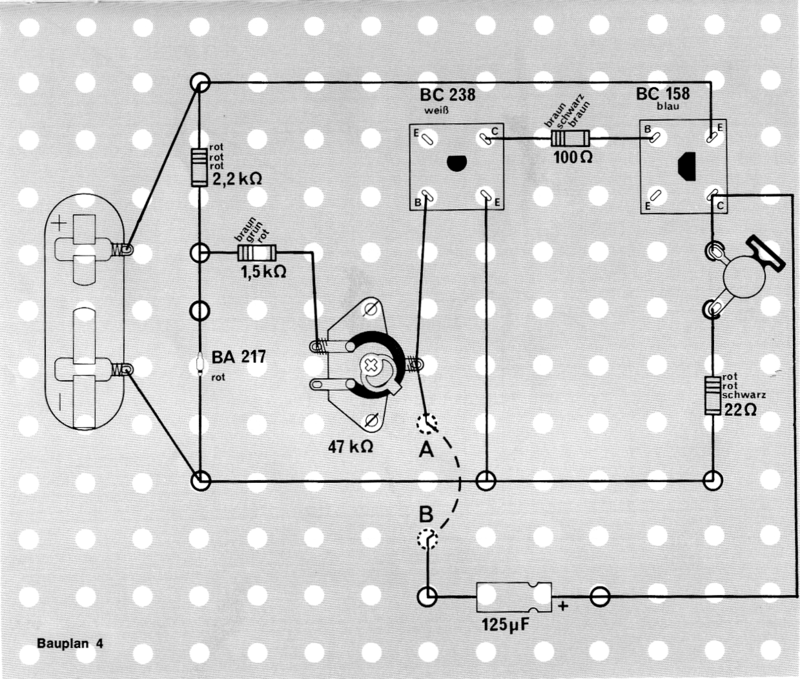 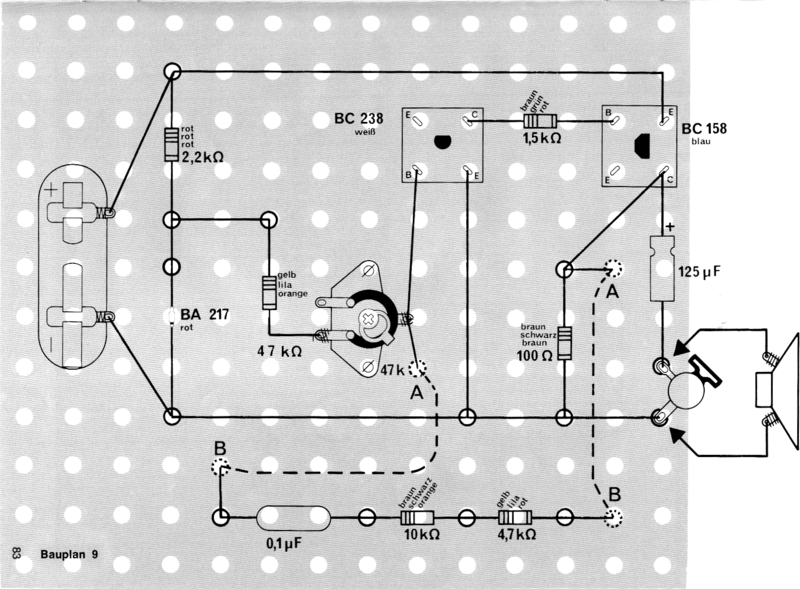 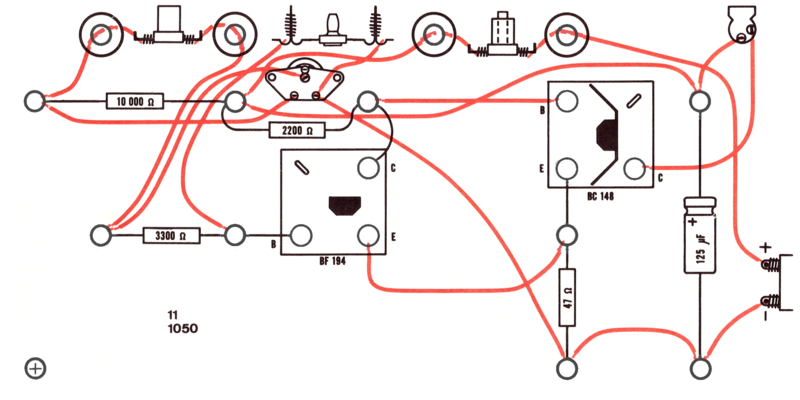 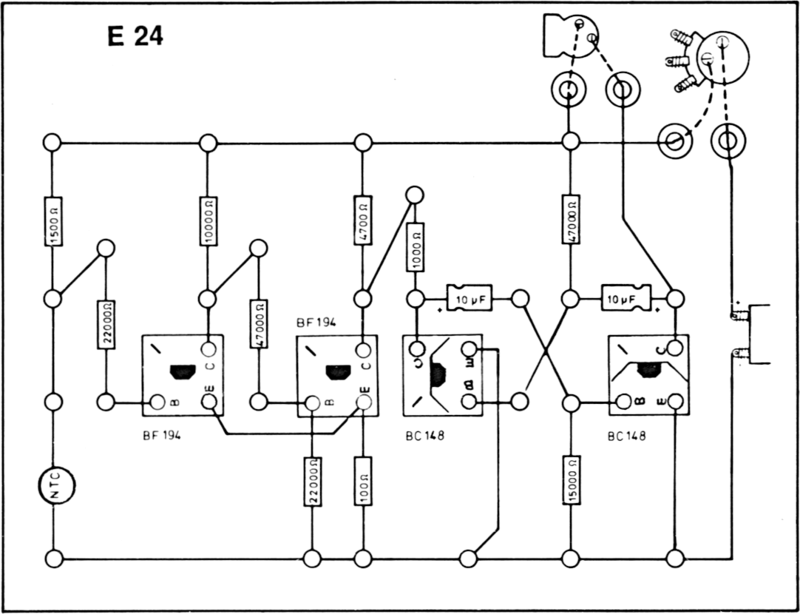 The only diagrams included are the two needed for the Computer-Spiel construction (one for each side of the construction board). 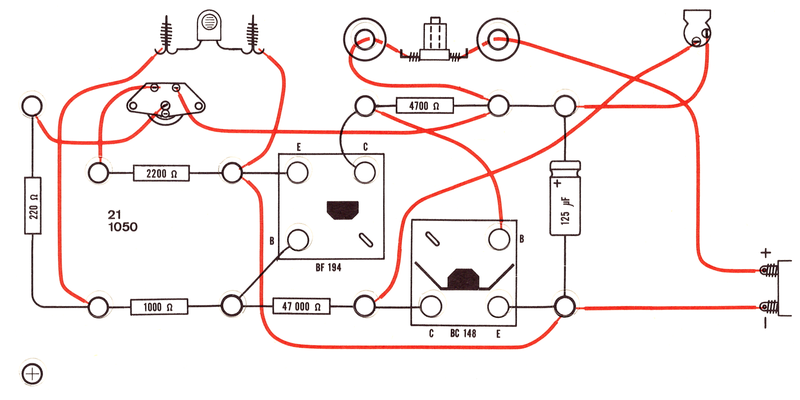 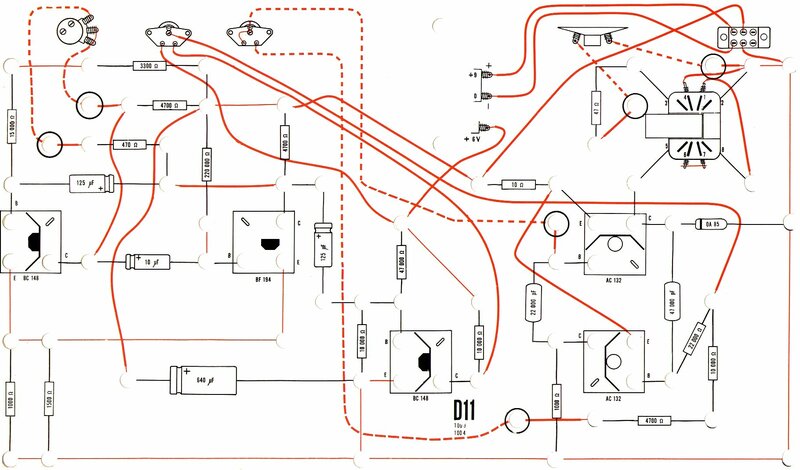 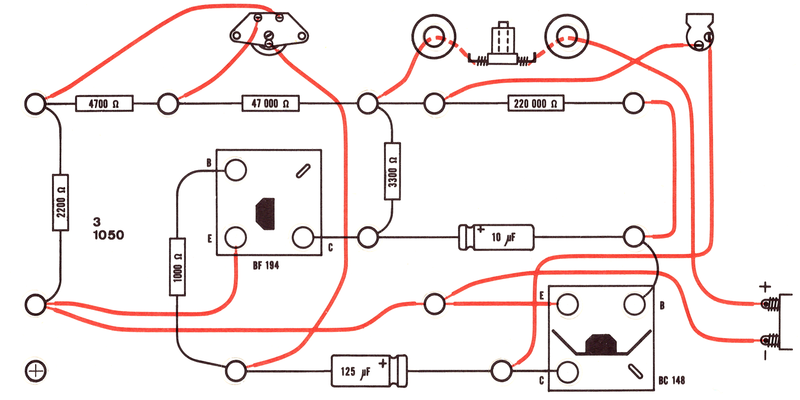 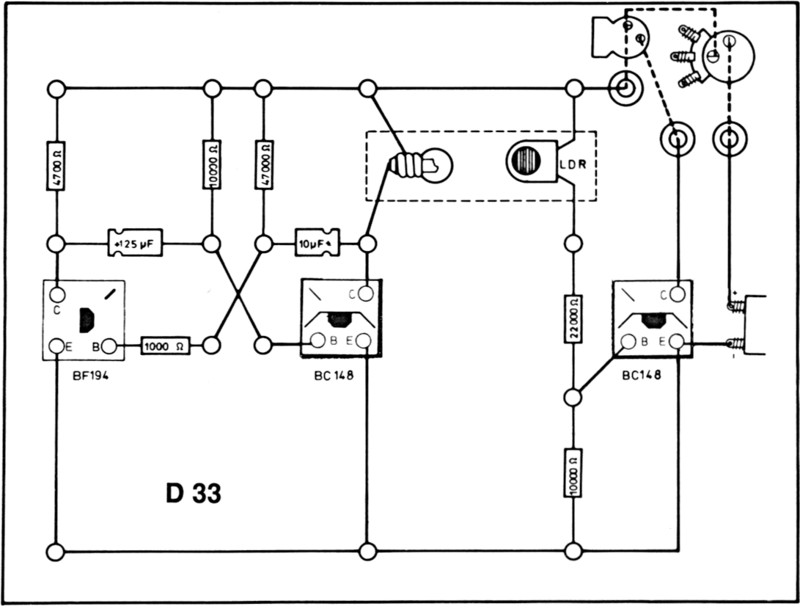 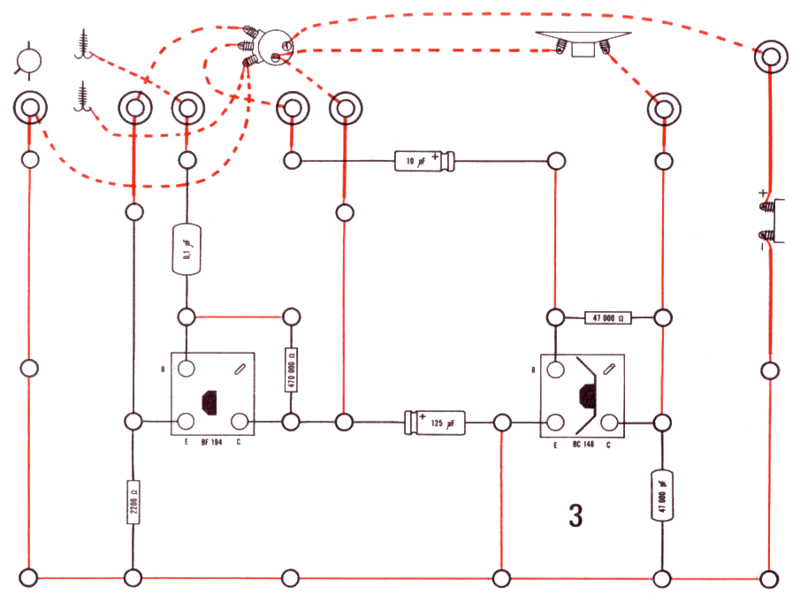 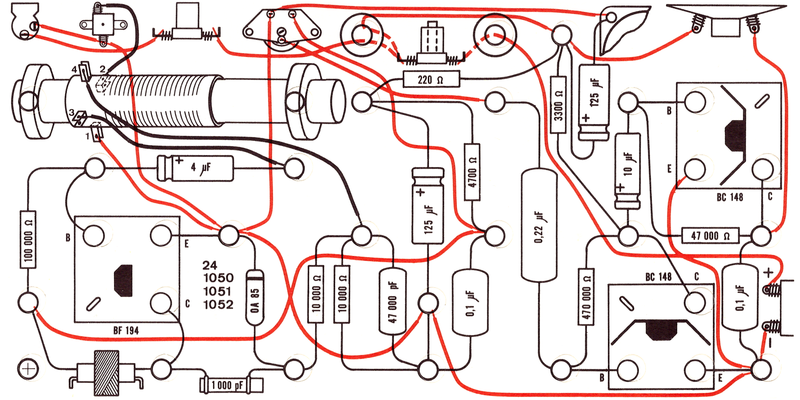 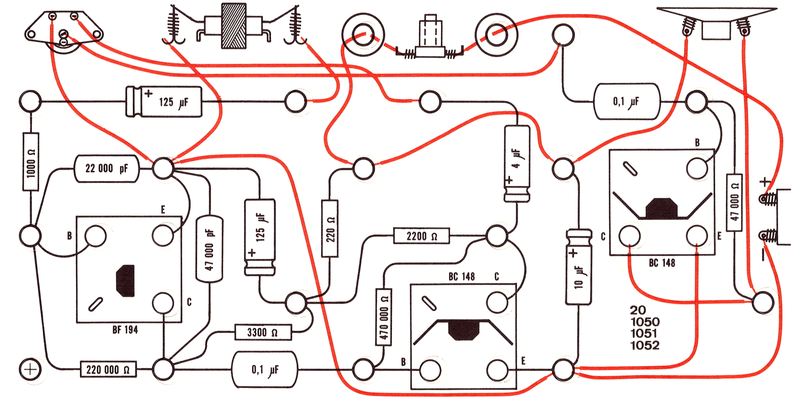 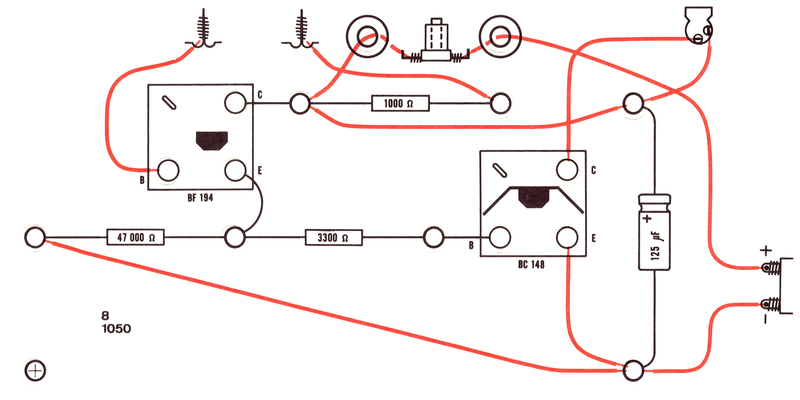 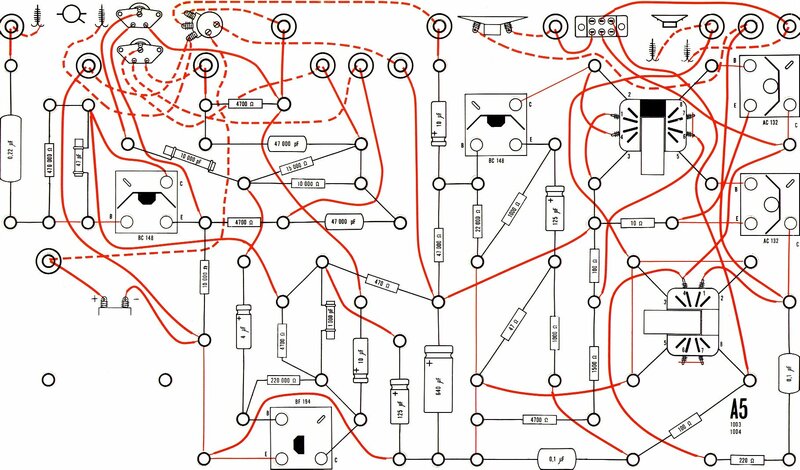 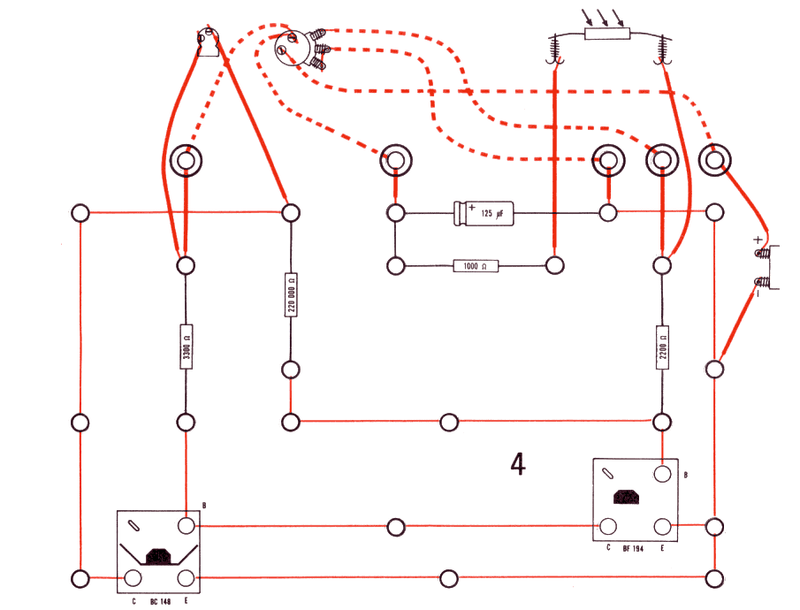 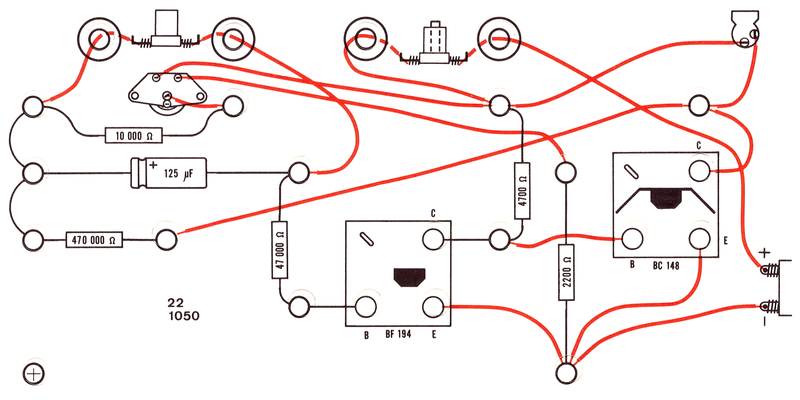 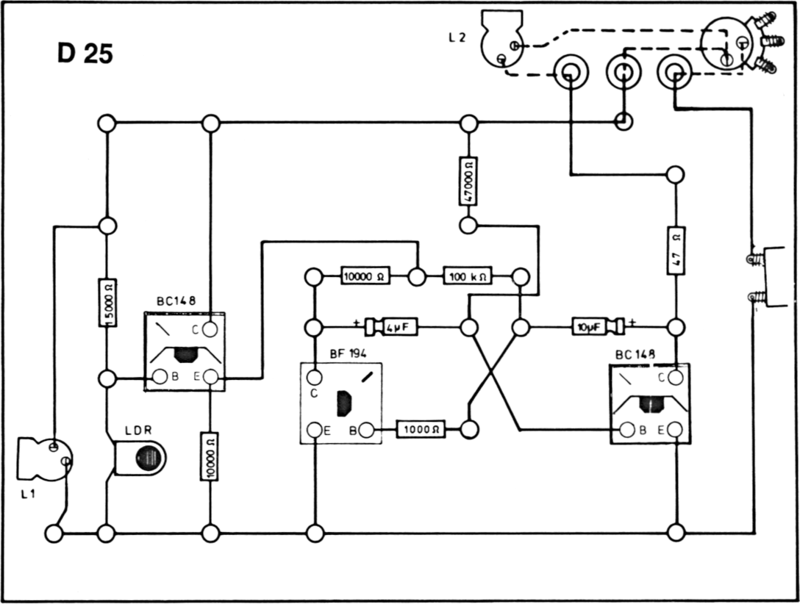 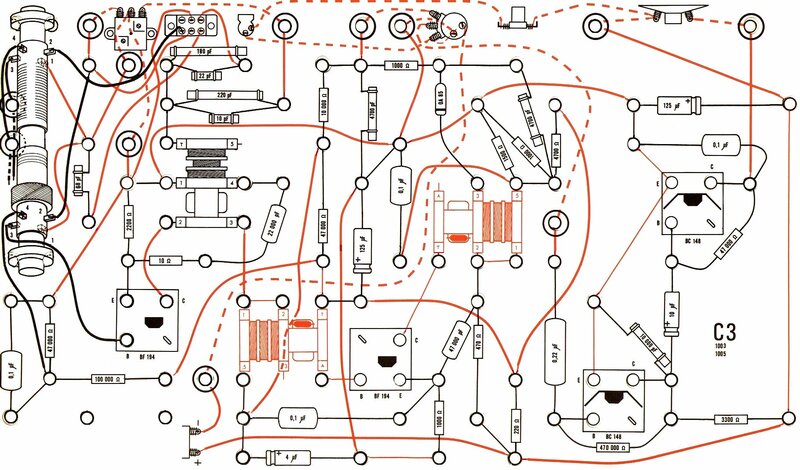 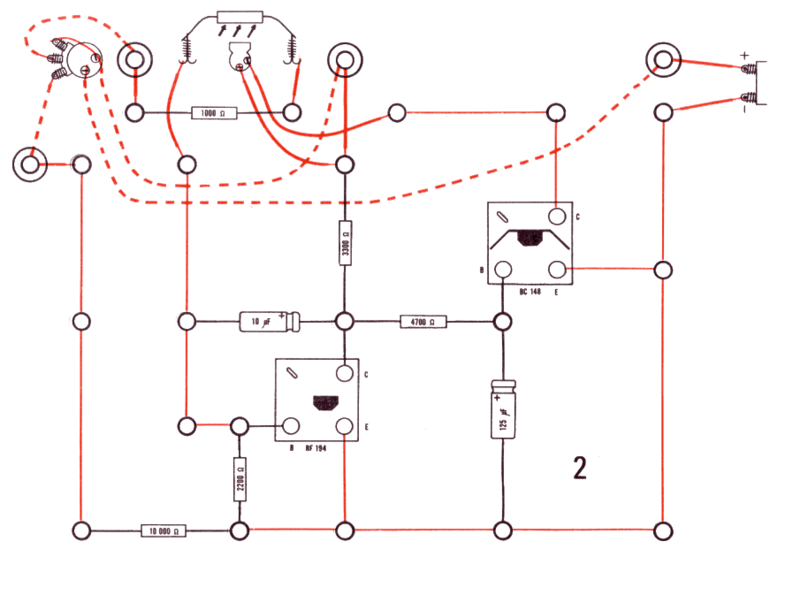 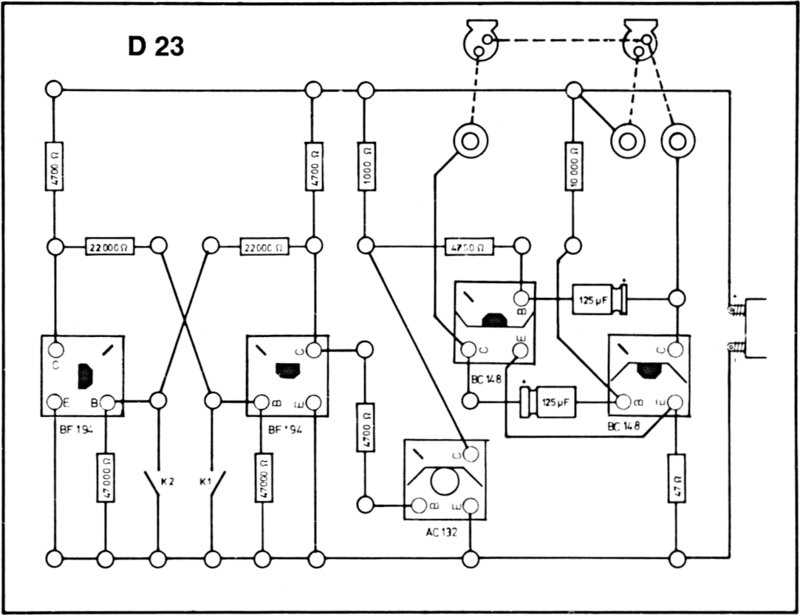 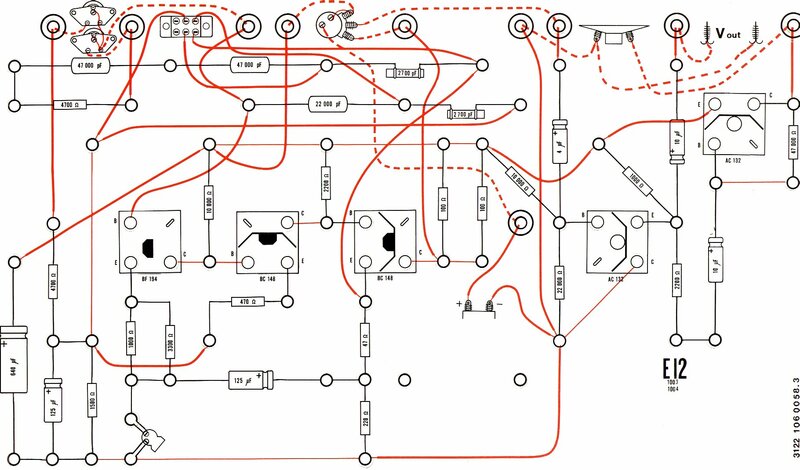 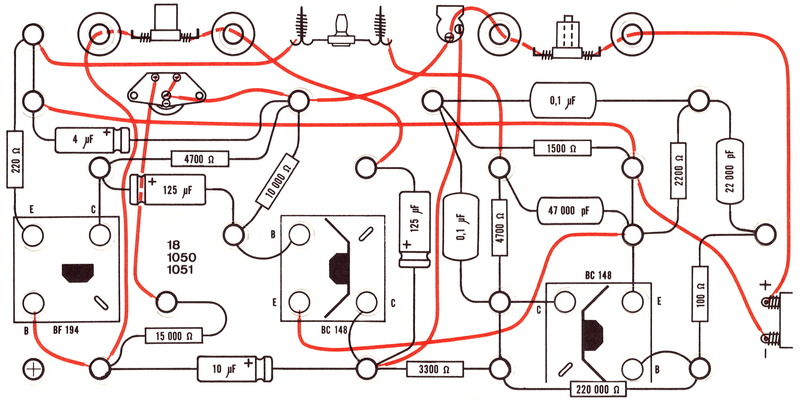 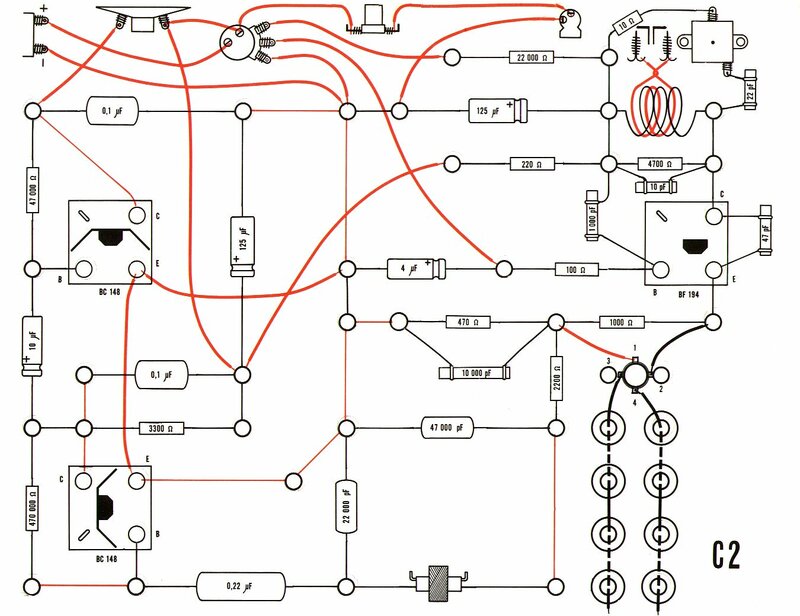 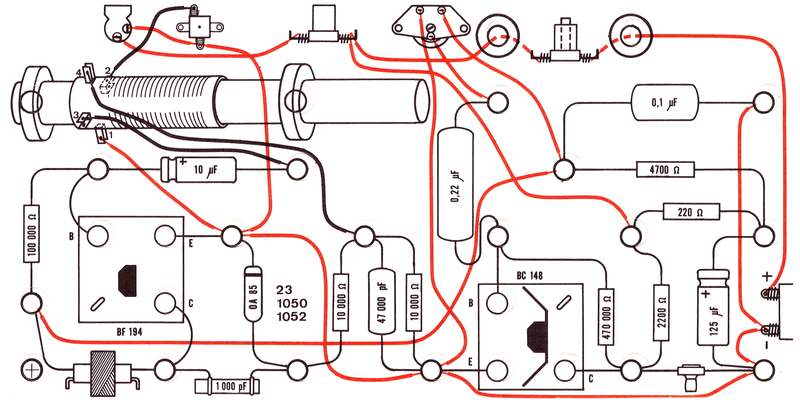 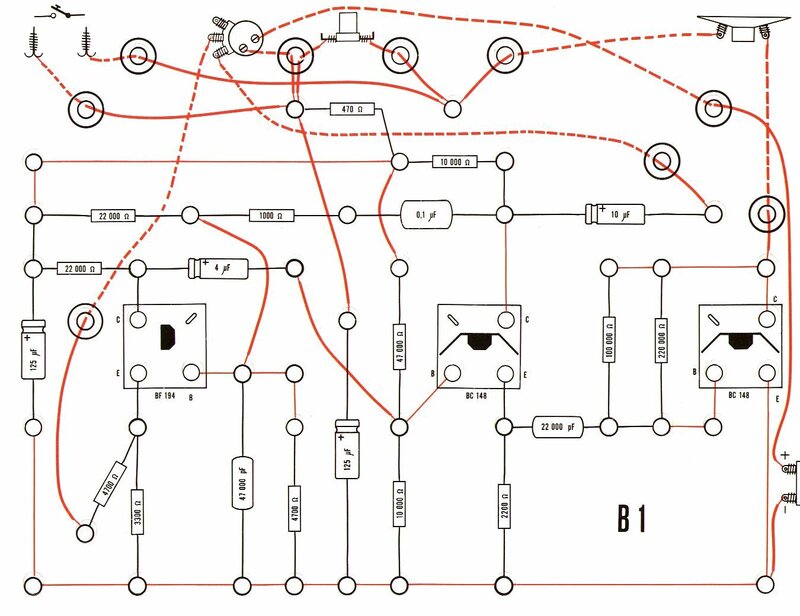 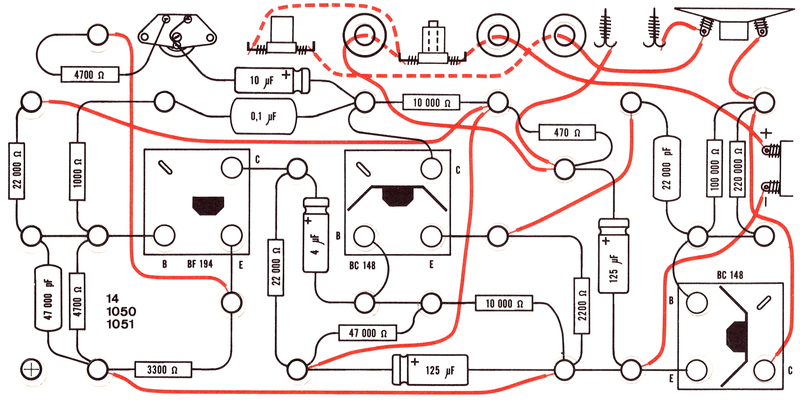 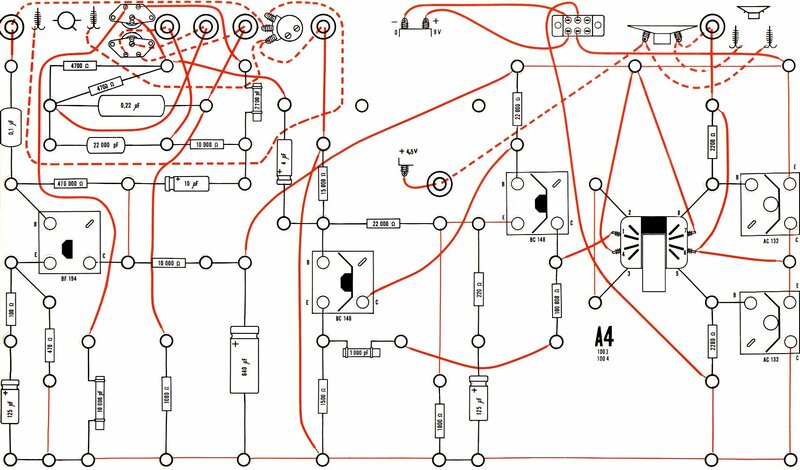 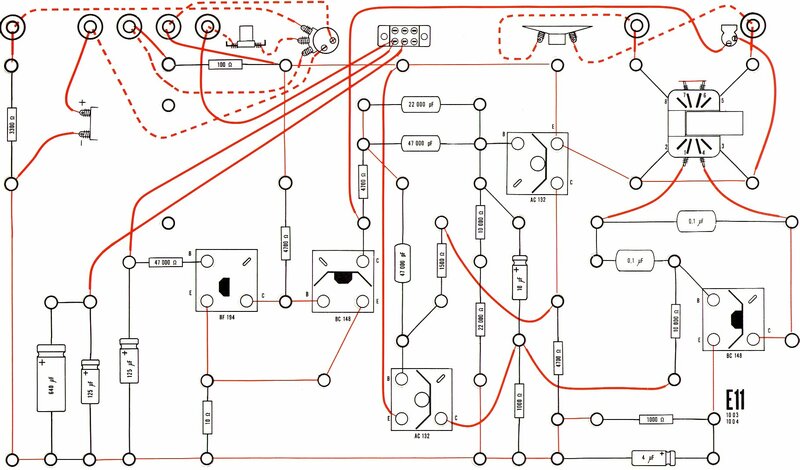 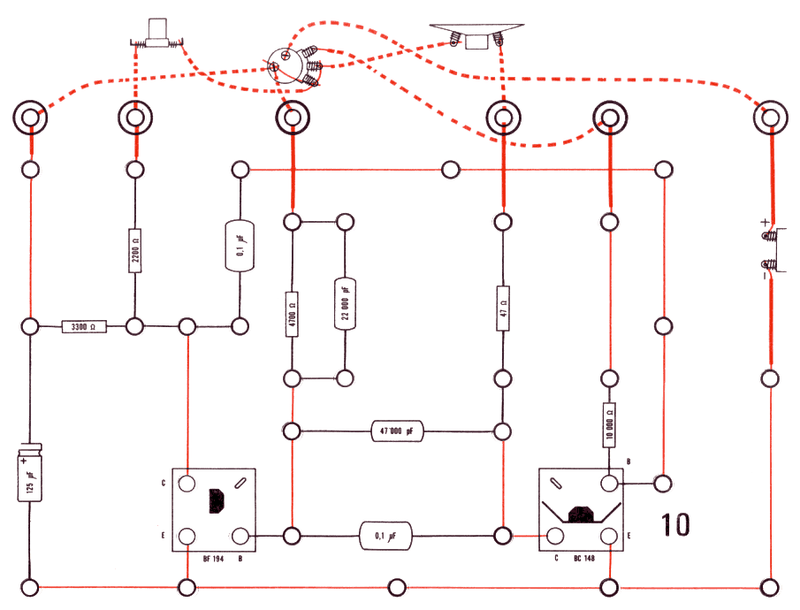 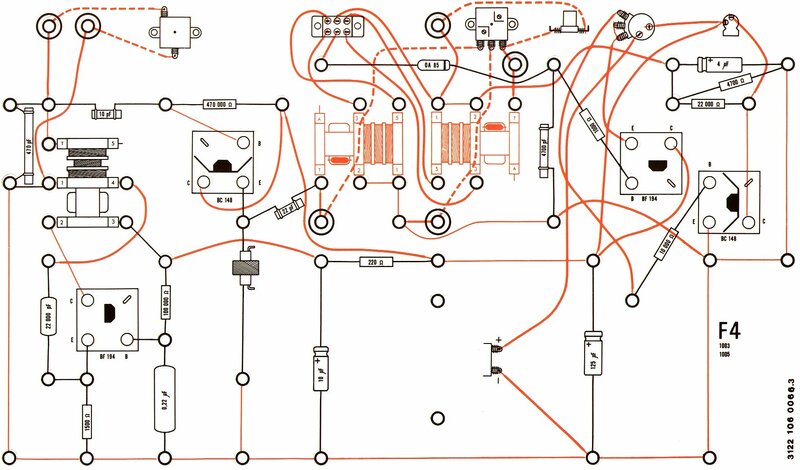 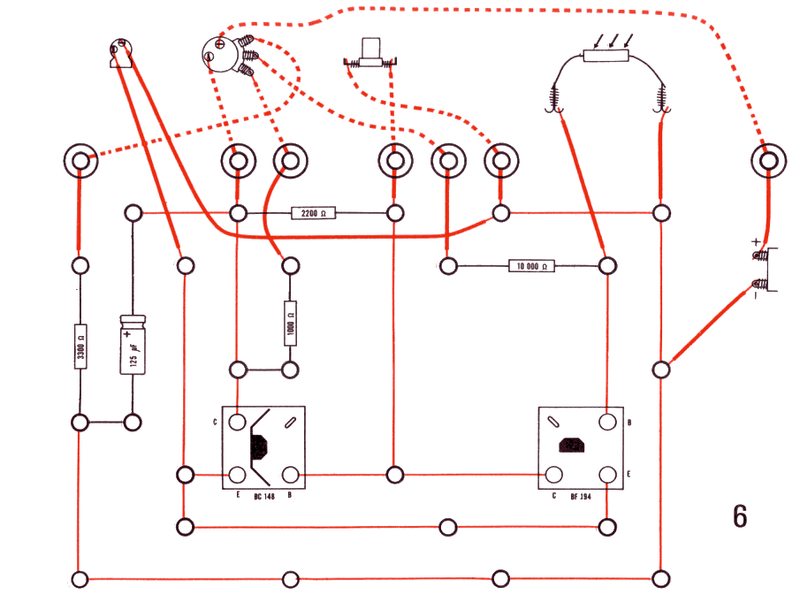 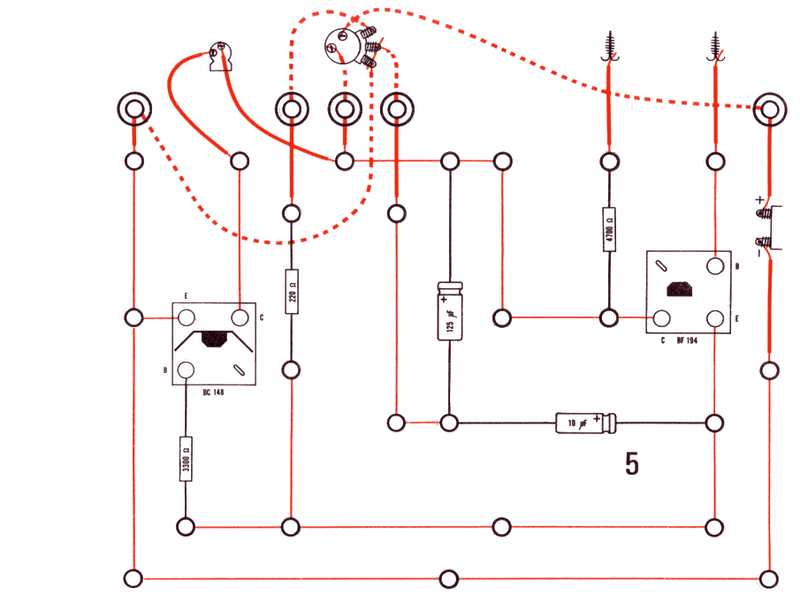 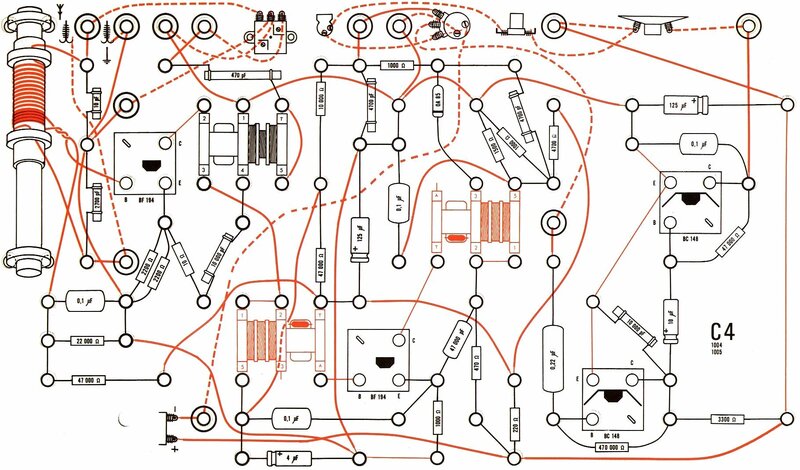 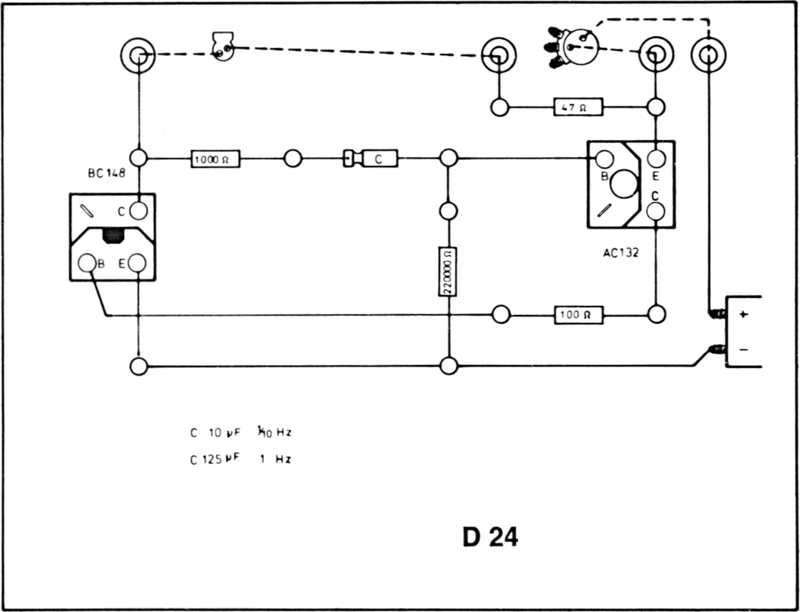 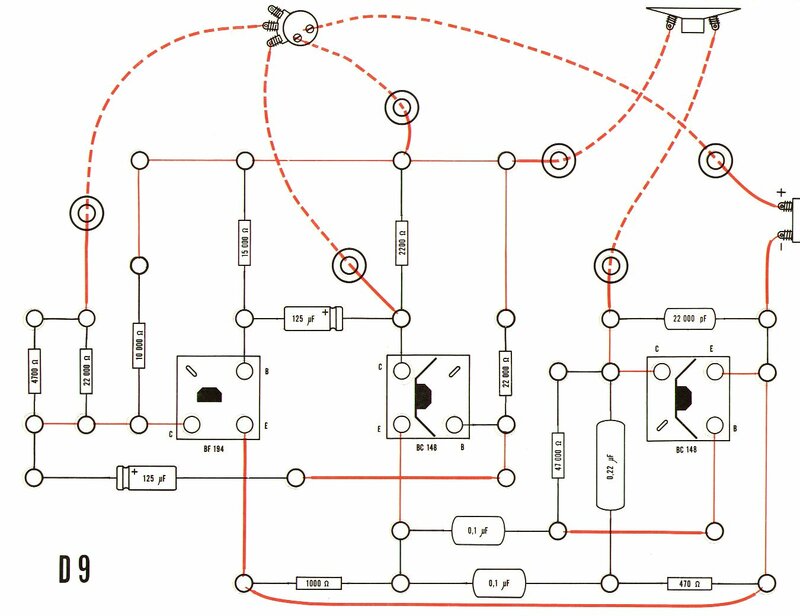 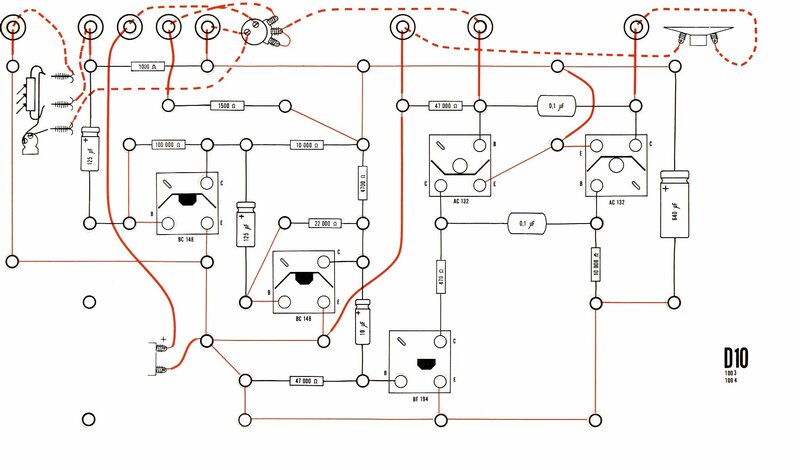 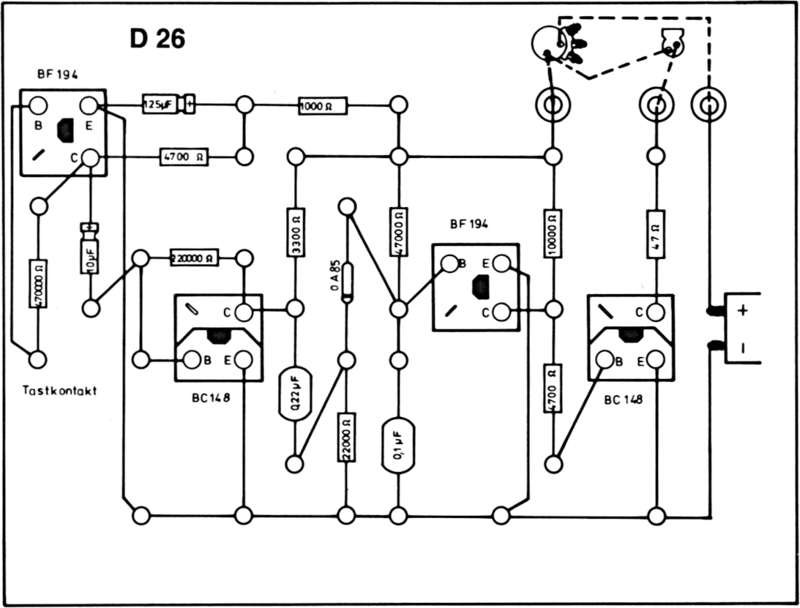 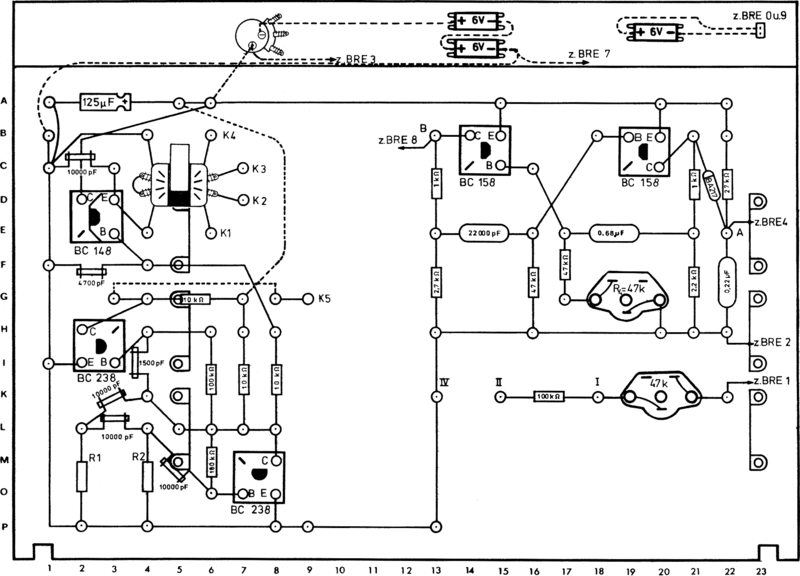 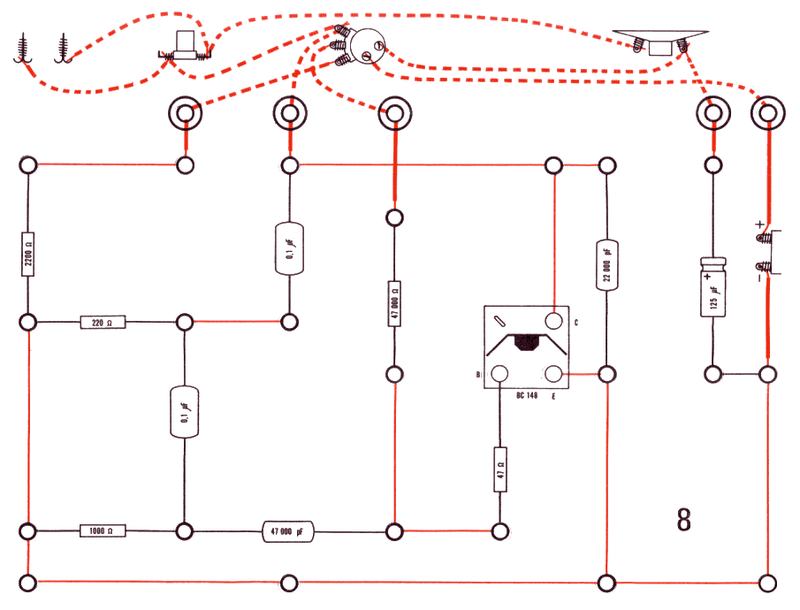 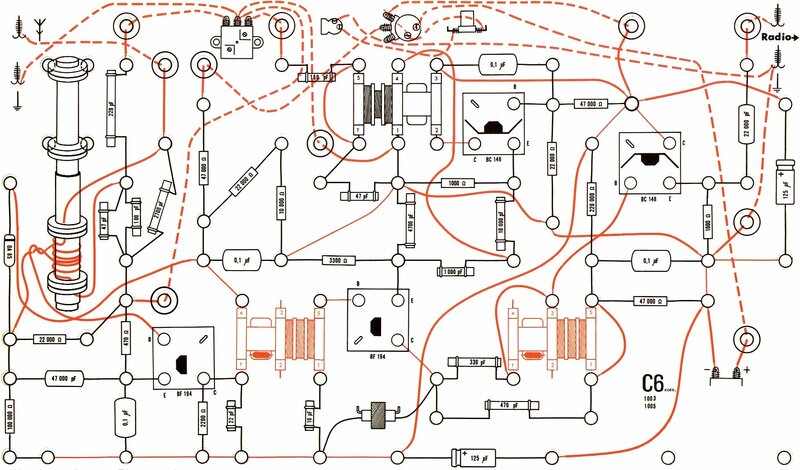 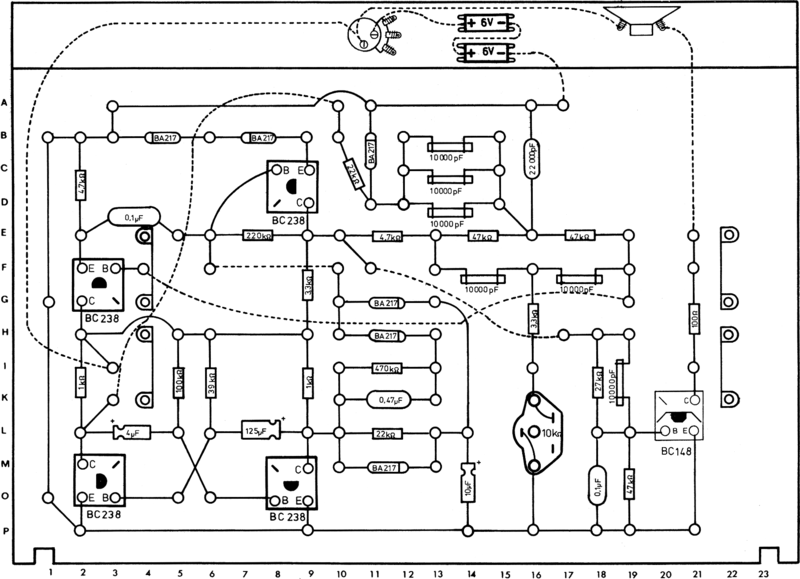 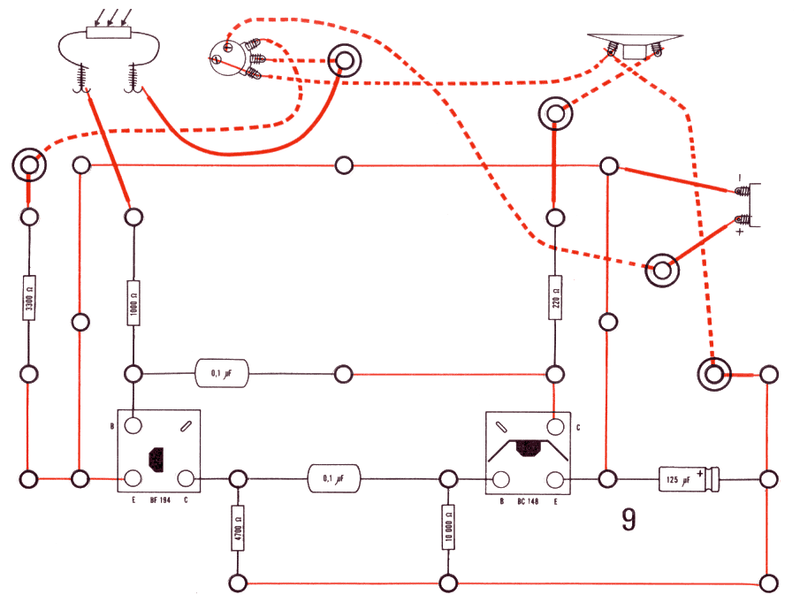 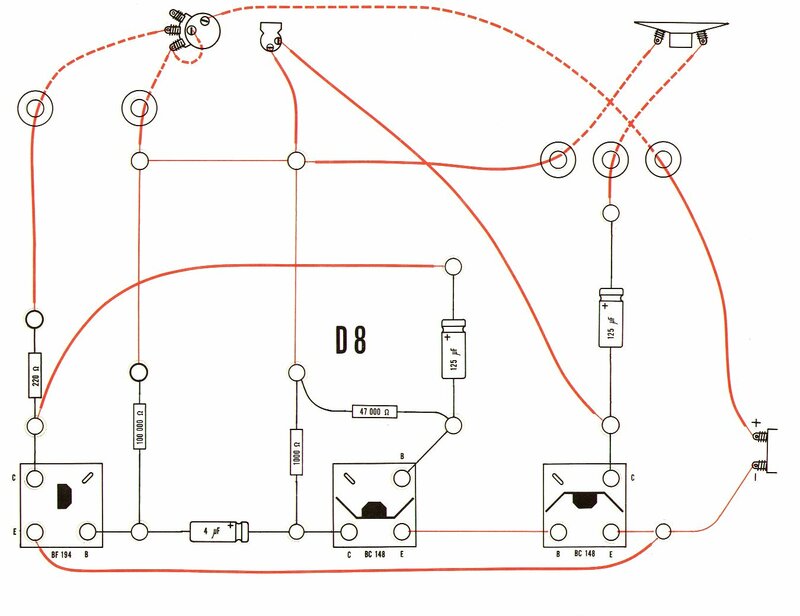 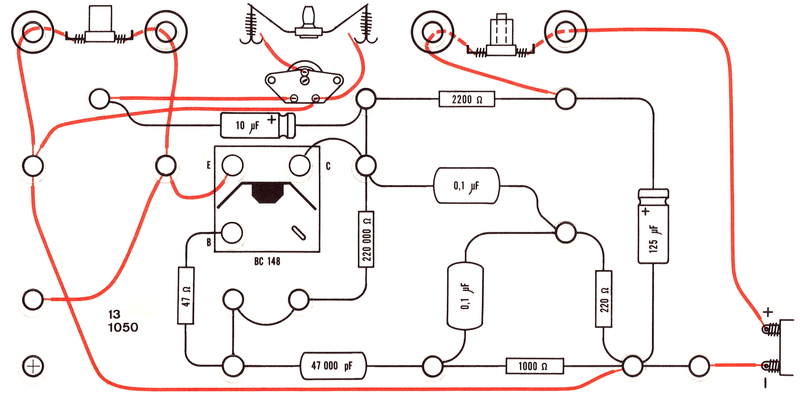 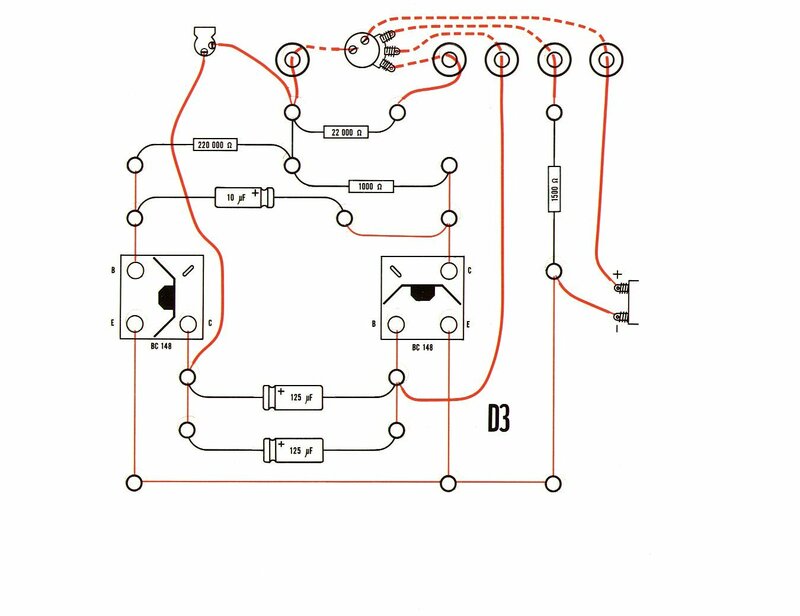 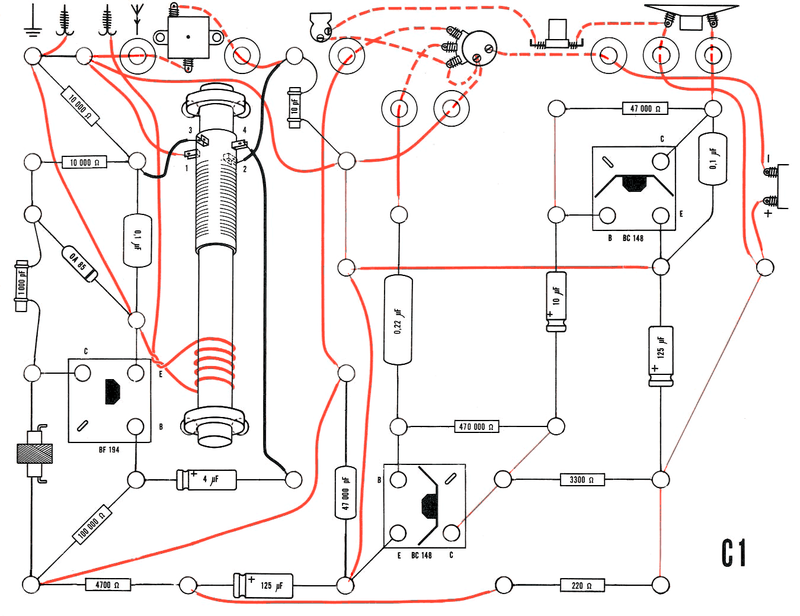 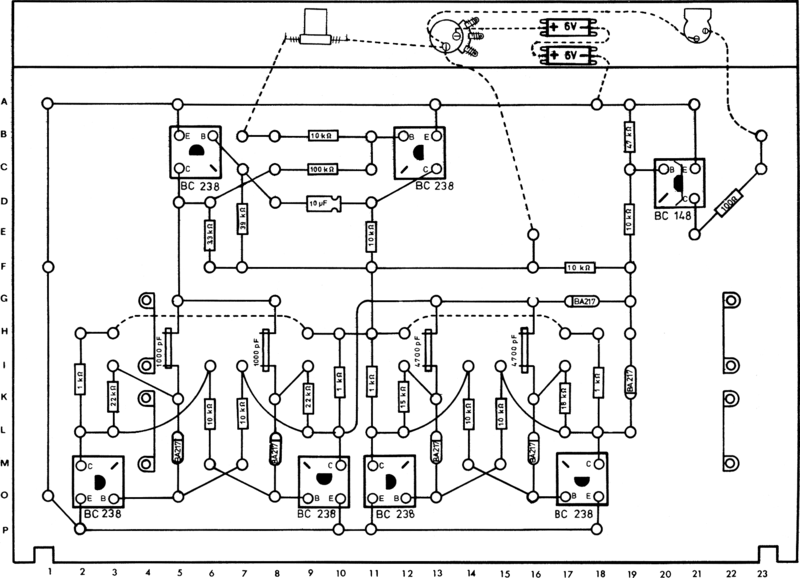 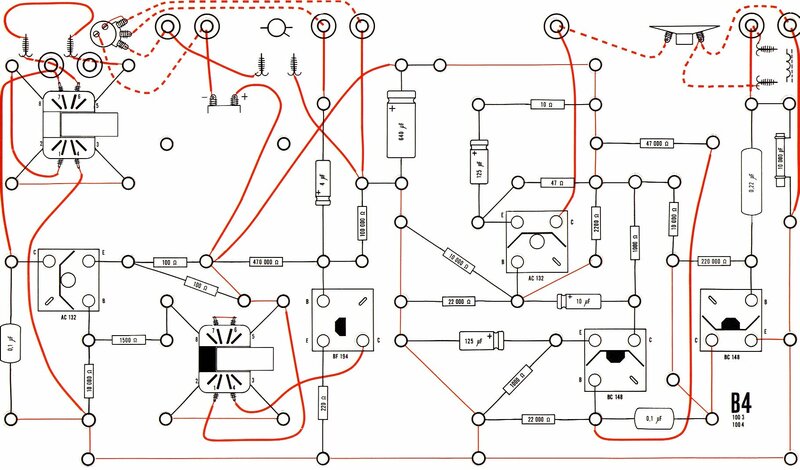 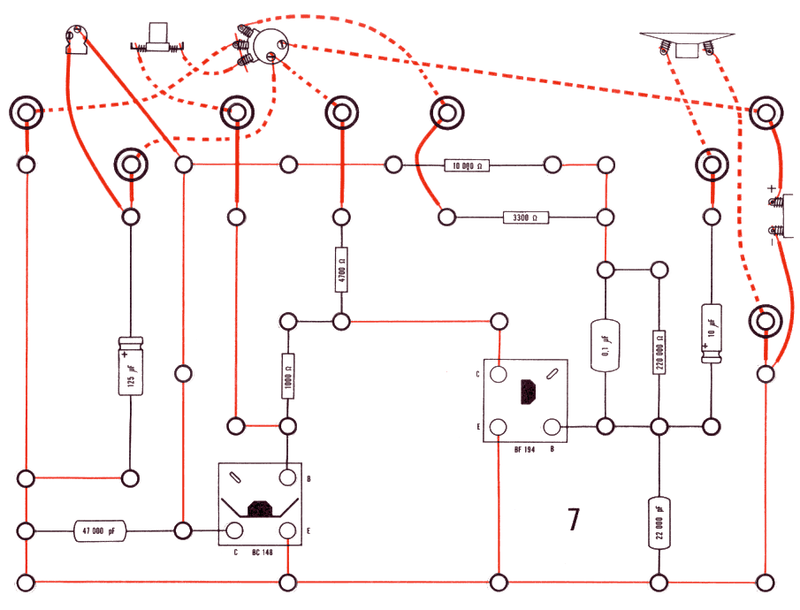 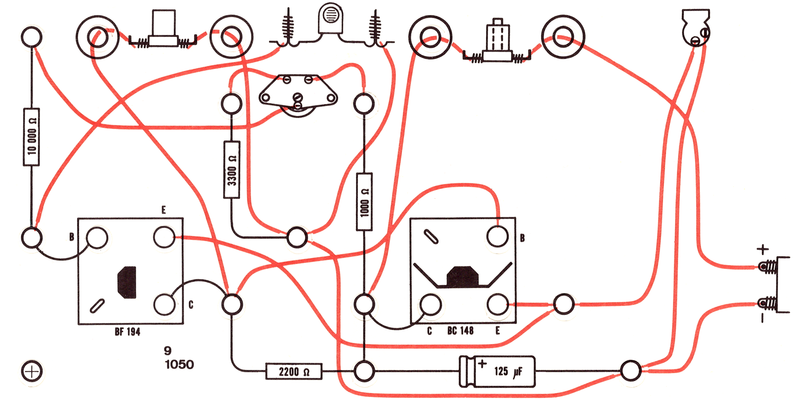 For constructions without a link no diagrams are given, only schematics. 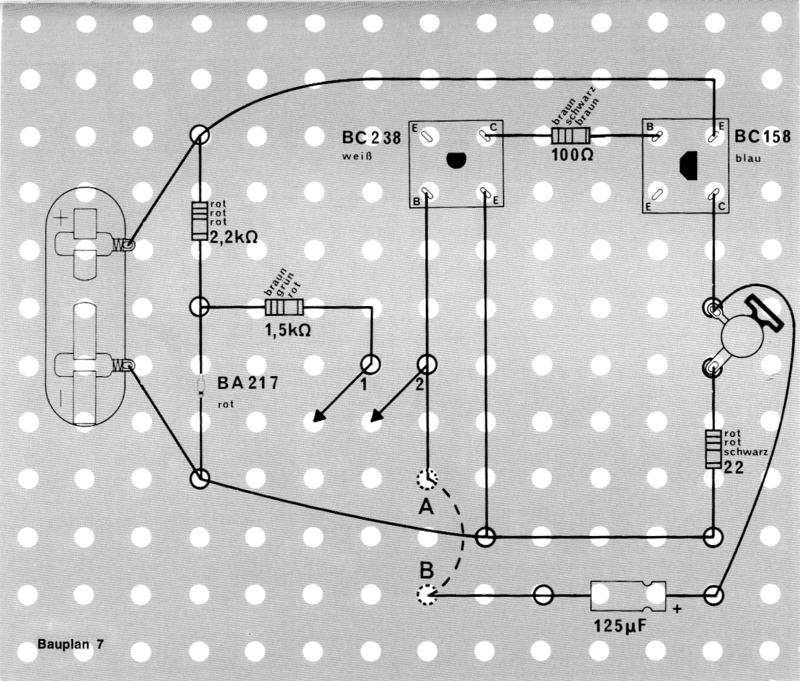 For the remaining ones plus those listed under EE 1010 above, the diagrams are given in reduced size and in black and white in the EE 1006 manual. 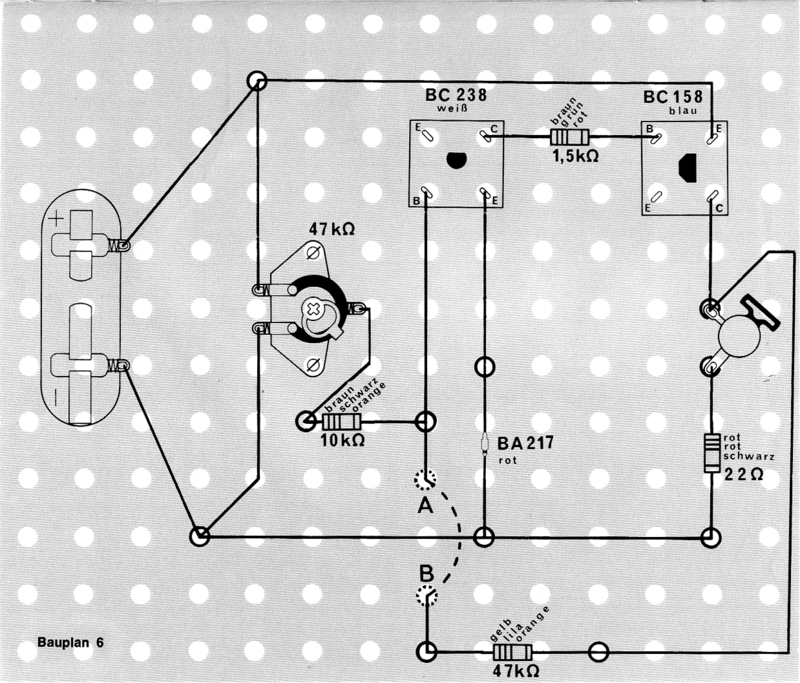 There are no dedicated front panels for any of the constructions. 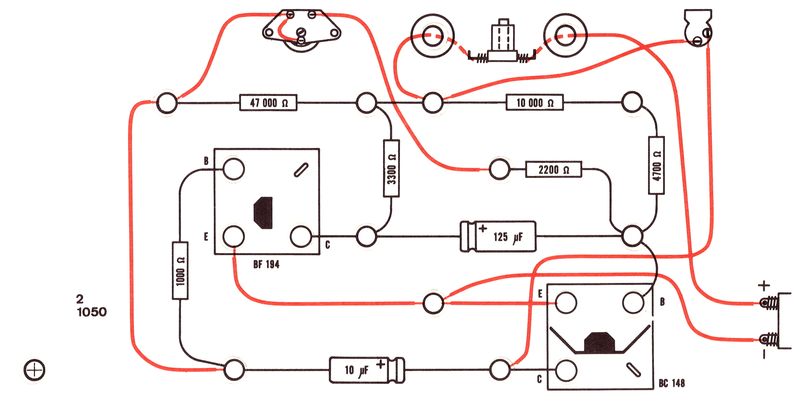 For constructions without a link no diagrams are given, only schematics. 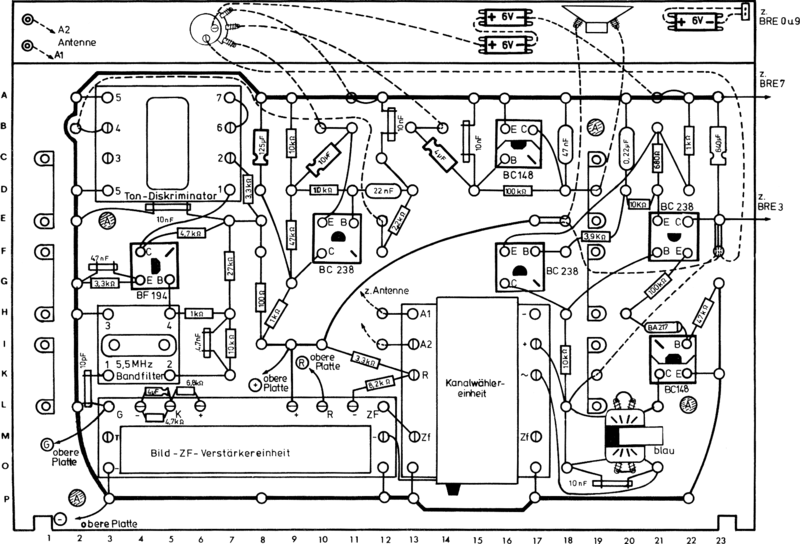 There are no dedicated front panels for any of the constructions. 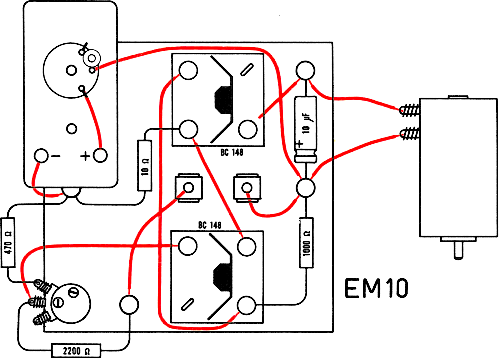 ¹ Requires EE 1008 in addition to EE 1003 and EE 1007.